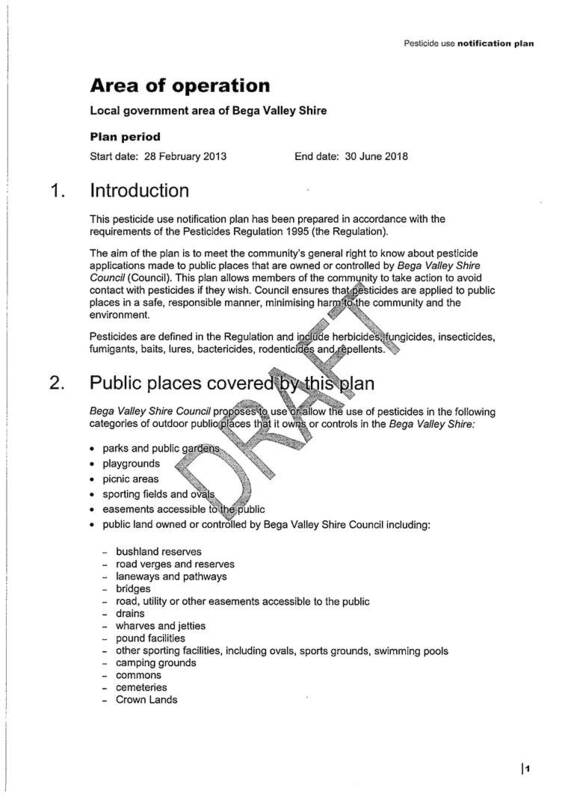 An Ordinary Meeting of the Bega Valley Shire Council will be held at Council Chambers, Bega on Wednesday, 27 February 2013 commencing at 2.00 pm to consider and resolve on the matters set out in the attached Agenda. That the Minutes of the Ordinary Meeting held on 6 February 2013 as circulated, be taken as read and confirmed. 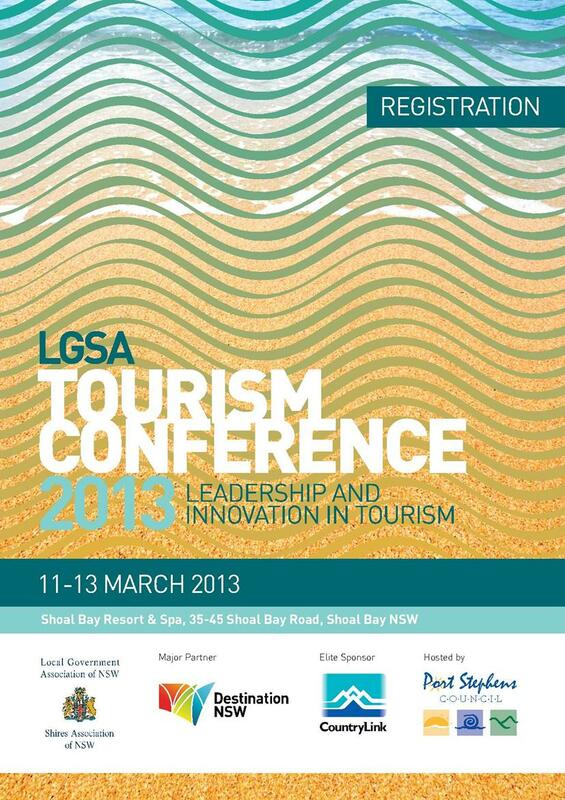 12.6 Local Government NSW Tourism Conference 2013...................... 114 . 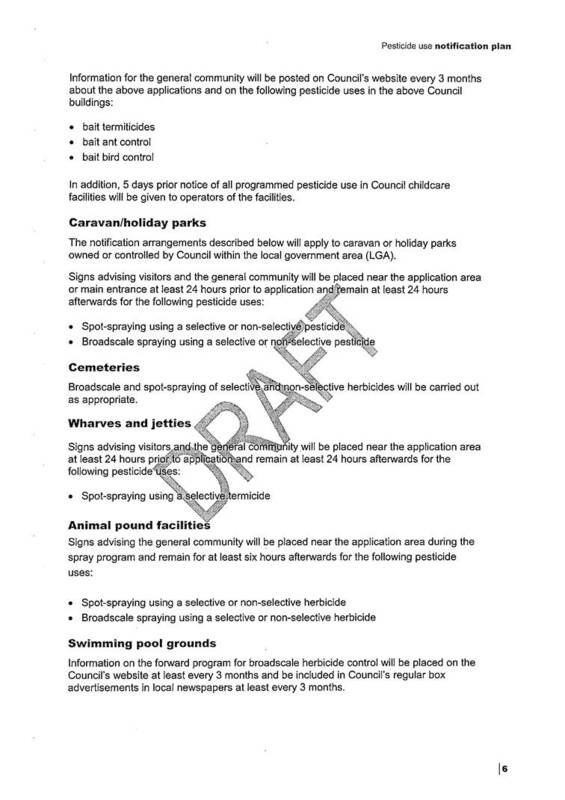 This report recommends the attached Pesticide Use Notification Plan 2013-2018 for approval. In 2005 the Pesticides Regulation 1995 was amended to require local government authorities to develop and adopt a pesticide use notification plan. Pesticide notification is based on the principle that the community has a basic right to know about pesticide / herbicide use in public places. 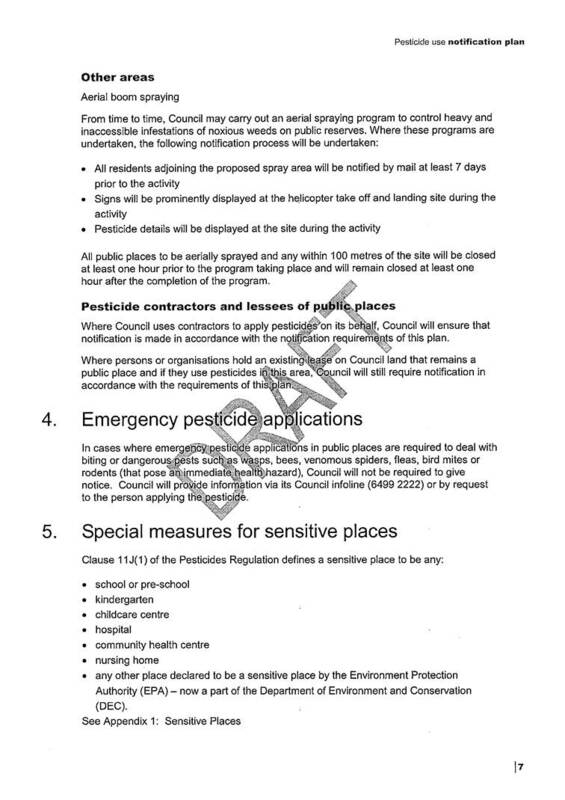 From February 2007 it became compulsory for pesticide / herbicide use by Council to be notified to the community. Council’s 2007-2012 Plan has now expired. 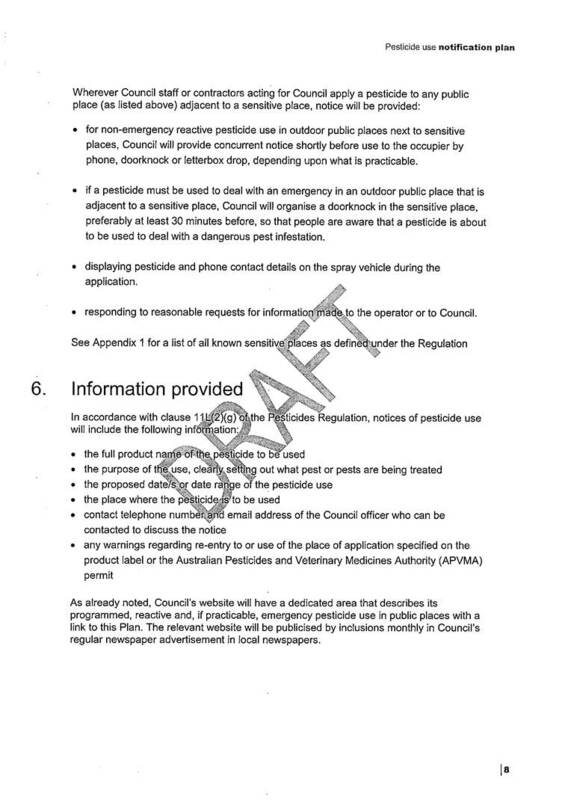 The attached amended Pesticide Use Notification Plan meets the requirements of the legislation. 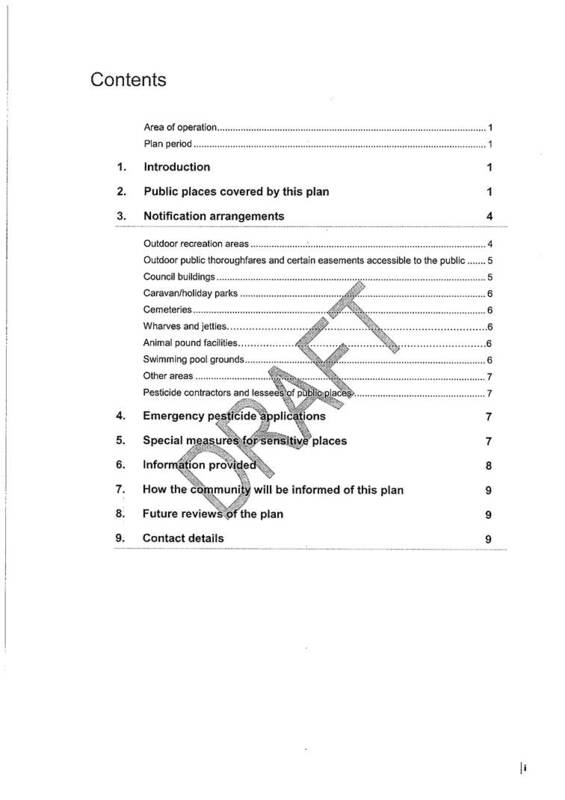 The draft Plan was placed on exhibition during January 2013 and community comment sought, however no submissions were received. Comment was also sought internally from staff, as areas of Council’s operations are affected by the need to notify. The draft Plan, when approved, will be incorporated into Council’s policy documentation as a standard operating procedure as it has the potential to affect a range of Council’s operations. The public notification of pesticide use has a minor cost impact on Council’s operations. 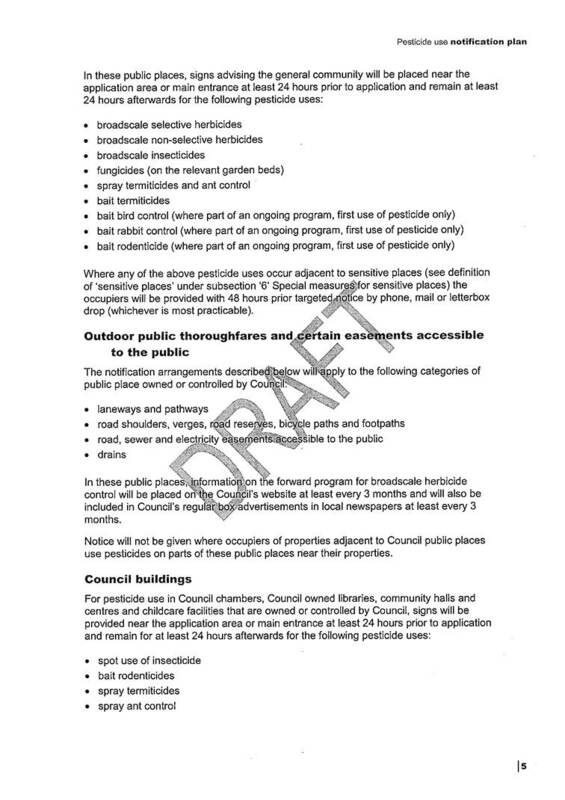 These costs relate to the placement of advice regarding proposed pesticide application on Council’s web page, but also in some instances the placement of notices on site. The draft Pesticide Use Notification Plan 2013-2018 has been reviewed in accordance with the legislation and government guidelines and remains essentially the same as that prepared in 2007. If endorsed by Council, a notice will be placed in the NSW Government Gazette as per the regulations. 1. 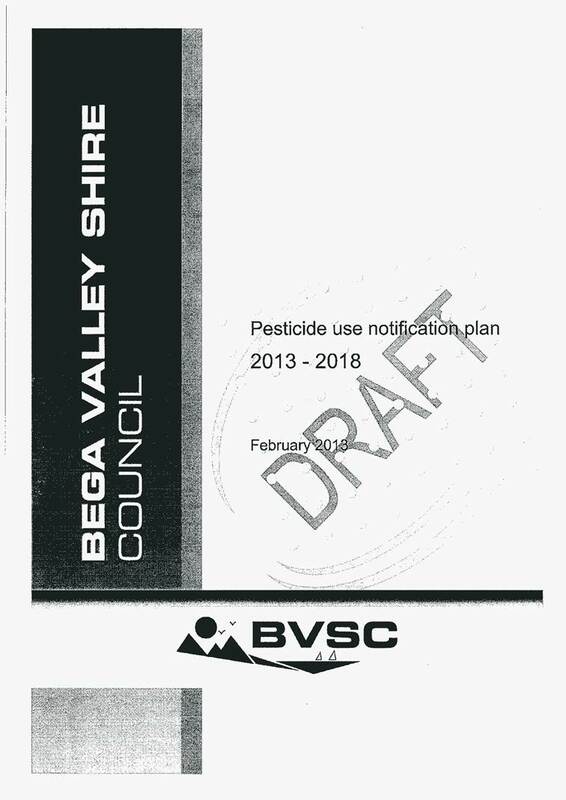 That the Bega Valley Shire Council Pesticide Use Notification Plan 2013-2018 (attached) be adopted. 2. That the NSW Environment Protection Authority and local media be advised of the adoption of the Plan and a notice be placed in the NSW Government Gazette. Nominations have closed for Council’s Senior or the Year award. One nomination was received. Bega Valley Shire Council presents an annual award of Senior of the Year as part of Seniors Week celebrations. The Award is to be presented by the Mayor at Council’s annual Senior’s Concert, the ‘Golden Gig’, on Wednesday 20th March 2013. 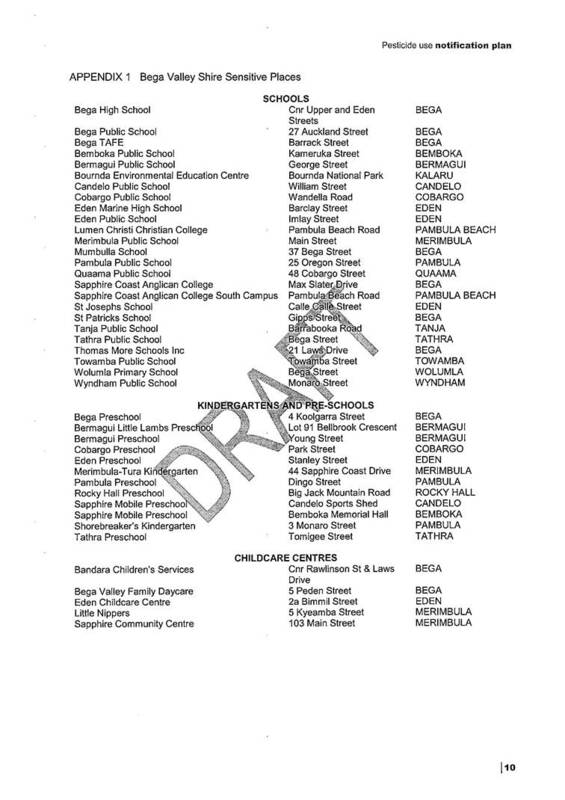 A public notice was placed in the local media and letters calling for nominations were sent to all appropriate Bega Valley Shire organisations. It was promoted by media releases for 4 weeks, nominations closed on 25 January, only one nomination was received this year. In order to recognise the contributions the nominee has made to their community, the nominated person is invited to the Golden Gig on Wednesday 20th March 2013 for acknowledgement as the 2013 Senior of the Year in the Bega Valley Shire. An outline of the nomination has been separately circulated to Councillors in a Confidential Memo. The Bega Valley Shire has an ageing population, hosting the Golden Gig and the presentation of Senior of the Year actively engages older people in their local community reduce social isolation and is a celebration to ‘live life’. Importantly the Senior of the Year Award also recognises the important contribution older people have made and continue to make to the community of the Bega Valley. There is no financial impact to Council. Funding is identified in the Community Services budget. There are no resource implications - the organisation of the Senior of the Year award and the Golden Gig are part of the work plan for the Social Planning and Community Development Section. Organisation of the annual Seniors’ ‘Golden Gig’ concert and the Senior of the Year Award is included in the Operational Plan for Council’s Social Planning and Ageing and Disability Services. The Senior of the Year award is an important way for Council to recognise the role older people play in our community. The nominated person has contributed significantly to their community and would be worthy recipient of the Senior of the Year Award. Council has been approached by the NSW Rural Doctors Network to again participate in their Bush Bursary Scholarship scheme in 2013. Council has received a written request from the NSW Rural Doctors Network (RDN) to consider continuing the support provided in 2011 and 2012 through participating in the 2013 Bush Bursary/Country Women’s Association Scholarship Scheme. The scholarship will provide $3,300 to a medical student, who will agree to spend two weeks in a rural placement in the Bega Valley Shire during university holidays or over the Christmas break. Council supported the program in 2011/12 year via resolution at its meeting on 7 February 2012 and allocated funding in the 2012/13 budget using Council’s Financial Assistance Vote. The Bush Bursary Scheme aims to expose medical students to rural medical practice and lifestyle with a view to increasing the student’s participation in study at a rural clinical school or taking up other rural medical opportunities. The scheme complements the Australian National University’s Medical School’s rural clinical school program and the John Flynn rural medical school program both of which operate locally. It has been identified that there is a growing shortage of general practitioners and GP/Specialists in the Bega Valley and other rural and remote areas and this is likely to intensify as the population ages. Attraction and retention of medical and nursing staff is critical to the health and wellbeing of the community and opportunities to support projects aimed at attracting or up skilling local students should be positively supported. This is a key area identified in Council’s adopted Community Strategic Plan, Bega Valley 2030. The financial impact to Council would be $3,300 for the Bush Bursary scholarship, and staff time to coordinate the visit. This would be included in the draft budget for 2012/13. Council would be required to nominate a placement coordinator (ideally a Council staff member) who would be responsible for liaising with the sponsored student and organising the activities for the placement including: liaison with local medical practitioners and community groups; arranging accommodation; and arranging social aspects for the two week placement. The Scholarship proposed by the NSW Rural Doctors Network would provide the Bega Valley Shire Council an opportunity to encourage medical students to consider working in rural areas to assist addressing the issue of attracting medical practitioners to the Bega Valley Shire. 1. That Council participate in the 2013 NSW Rural Doctors Network Bush Bursary for medical students program. 2. 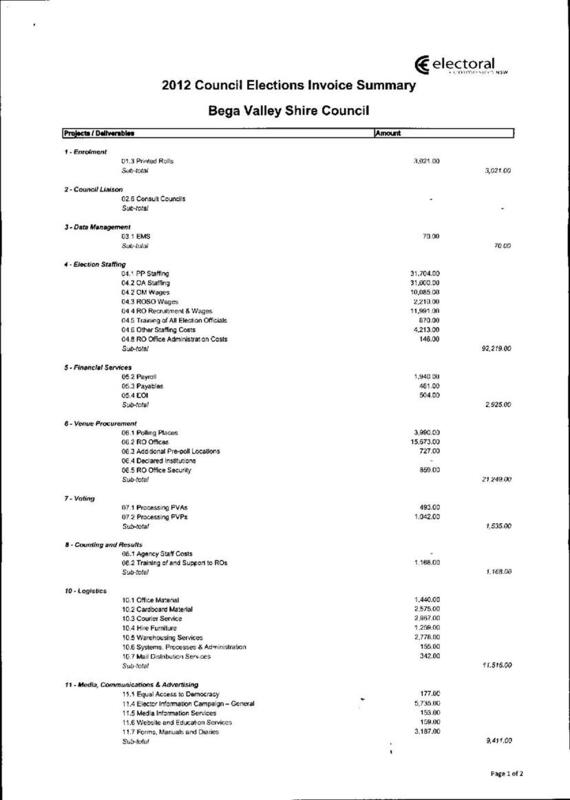 That Council allocate funds in the 2013/14 budget to cover the scholarship and administration costs. Nominations have closed for the Bega Valley Council’s Young Women’s Scholarship. Three applications were received. Bega Valley Shire Council is awarding the Young Women’s Scholarship for the fourth year as a part of the Shire’s ‘International Women’s Day’ celebrations. The scholarship recognises the important and lasting contribution that young women make in our community. The Bega Valley Shire Council may award a $500 Scholarship to the successful applicant. The scholarship will be awarded to a local woman aged 18 to 25 that shows potential in their field of endeavour, whether it is business, music, community, arts or sport. Emails calling for nominations were sent to all appropriate Bega Valley Shire organisations, institutions, departments and agencies. The Scholarship has been widely promoted locally through networks, at meetings the local Schools, TAFE and University. Nominations closed on 11th February 2013. The scholarship provides the Bega Valley Shire Council an opportunity to recognise and celebrate young local women’s achievements and the contribution they continue to make to the Shire. The scholarship will raise the profile of successful young women and provide role models for other local young women. Funding is provided through the Community Services program budget. There are no resource implications - the scholarship is a part of the work plan for the Community Development Team. The Young Women’s Scholarship is an important way for Council to recognise the role young women play in our community. In order to ensure the confidentiality of the nominees, the nominations are summarised in a separate confidential memo to Councillors. All the nominees have contributed significantly to their communities and would each be worthy recipients of the Young Women’s Scholarship. It would be appropriate in this case for Councillors to make the selection. That (name to be inserted) be named the Young Women’s Scholarship recipient for 2013. The December 2012 half yearly review provides Council with a status update on the adopted 2012/13 Operational and 2011/16 Delivery Plan which sit within the Community Strategic Plan framework. Council adopted its 20 year Community Strategic Plan (CSP), 5 year Delivery Plan (DP) and 1 year Operational Plan (OP) in 2011, after considering its Asset and Financial Sustainability Review, and subsequent adoption of the Resourcing Strategy (compromising the Financial Plan, Workforce Plan and Asset Management Plans). In 2012 those plans were reviewed and edited for the purpose of identifying gaps and duplications within the document and to enable the realignment of several identified action areas. These realignments were exhibited and adopted by Council on June 29 2012. Through the review of Operational Actions, Managers have had the opportunity to review and assess progress against the Delivery Plan. Chapter 13 of the Local Government Act requires Council to report half yearly on the status of the Operational Plan, in addition to the Budget Report (QBRS) which will be presented to Council for consideration at this meeting. A summary of Operational Actions status per theme area is provided below. Key achievements have been highlighted, as have areas of delay. Key achievements - Hall committees and other Council volunteers (90) have completed induction, and the recent community survey indicate a high satisfaction with this factor. Research for the companion animal management plan has been competed, and a draft plan commenced. Private car-parking regulations and procedures have been adopted and fees set by Council. Key achievements: - In relation to the new regional hospital, meetings have been held with Health Infrastructure to inform the DA and design process. A report has been published by LHD on Pambula Hospital, and poll results reported. The University of Wollongong (UOW) nursing and allied health student’s literacy program is in the research phase, and support is being given to UOW where literacy courses are being held regularly throughout the year for tutors and university students. A Healthy Communities Implementation plan has been developed and endorsed by the Department of Health and Ageing. Mobile clinic is now operating and partnership programs and new programs supported such as Palliative Care. Key achievements: Sapphire Coast Tourism Cultural Heritage project is in its final stages with a report on the signage program due February 2013. A new calendar of events went live December 2012 complementing the regular events and cultural activities promoted on Facebook. Cultural Setting Report developed in partnership with the Cultural Committee was presented to Council in December 2012. Key achievements - Community meetings have been held to develop and promote the Cultural Heritage Tourism Strategy, and options for themes and signage for the towns discussed. Areas delayed: Work on the affordable housing mapping has not yet commenced and has been subject to resource limitations. Work is planned for the first half of 2013 and operational targets will be revisited as part of the review of the operational and delivery plans. Improved usage of space has led to increase in services provided by our Library Services, and there is an ongoing strengthening of literacy programs in the library to complement partner programs such as those with the TAFE and UOW. Key achievements - All hall and cemetery committees are operating in new model. Sporting grounds management committee model to be progressed in early 2013. Inductions of Gallery volunteers have begun with approximately 80% completed. Development of a volunteer organisation resource kit has commenced. This kit along with training will be delivered to volunteer organisations in the Bega Valley to assist them in volunteer recruitment, management, retention and recognition. Volunteer record management systems are being developed. The goal is to integrate volunteer records within the Authority system and the NAR so it can be easily accessed and maintained as an accurate record of Council's volunteers. Key achievements There has been increased attendance of Indigenous youth involved in literacy programs, by 20%. In addition, the libraries are providing safe space and opportunities to develop reading and spelling skills. The suicide prevention action network (SPAN) has been created and is being supported, with a calendar and events conducted as part of mental health month. Seven (7) youth tertiary scholarships have been awarded within the region and two (2) applications received under the sporting, cultural or education SERAS program. Key Achievements - Community Information Directory (CIT) has been updated to better identify services and programs for older people – the directory is currently electronic with a printed version to be complete by June 2013. The number of volunteers in Library services has increased by 30% in line with changes being implemented to continue a quality service provision and the removal of the mobile library service. Areas delayed : Research and analysis of key economic data including population trends, characteristics of settlers, visitor trends is scheduled to begin in April 2013 by ID Profiler following the last release of data by the ABS. This will also include the ground work for the Bega regional regeneration plan with specific defined outcomes. Presentations are scheduled with councillors and business. Key achievements - Discussions undertaken with Sapphire Coast Tourism (SCT) and the Regional Tourism Organisation (RTO) to facilitate and assist with agreed outcomes for local developments, including tourism signage projects with ACW. In support of the Port of Eden regeneration, an SCMDC RDA application and grant have been submitted, support given to the tender for Eden Mobil site, reports endorsed by Council, and liaison and works with local state and federal groups and government to facilitate developments. Key Achievements Draft CLEP with Department of Planning for gazettal. A key element of the plan is protection of agricultural land and existing enterprises. As part of the investigations into effluent and recycled solid waste for use in agricultural enterprise, the Merimbula Effluent Options Study is now 90% complete. Additional effluent reuse options have been identified at Lochiel, Millingandi and Wolumla. BVSC has been working with South Coast Producers Association (SCPA) to increase the fortnightly market to weekly. Extending of the hours during summer is also being considered. Regulations and signage in relation to road side vending are under review as part of Comprehensive Development Control Plan (CDCP) with completion expected early 2013. This aims to ensure that projects such as farm gate sales can be accommodated and maximised across the region. Areas delayed: Monitoring of the socio-economic effect of marine parks is an area to be further explored and developed as and when resources are available to facilitate this. Key achievements - Stage 1 of Bega Littleton Gardens on track. Progress has been made in development of traffic management plans for Merimbula and Bega, and consideration of the impact of the Bega bypass on Bega town. This work will continue into 2013. 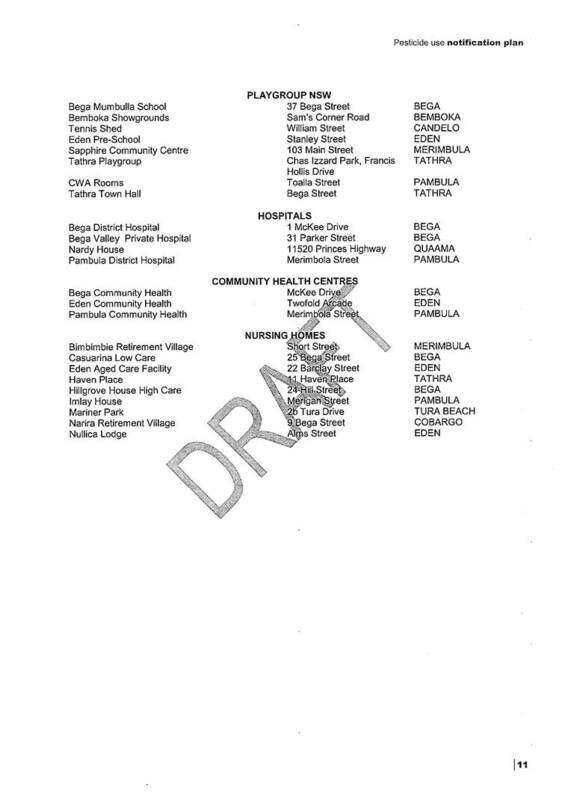 With regards the development of the regional hospital in Bega, a report on Pambula hospital has been released by LHD and a poll was undertaken alongside the local elections, with results reported to Council and presented to Minister of Health and Local Member. Key achievements The BVSC profile report will fully outline the economic profile of area with up to date Census 2011 data by the end of March 2013. Along with the ‘Live, Work, Invest’ web site, a valuable resource is available to support the development of employment opportunities. Workshops have been held as part of the preparation of an Economic Prospectus. Council Digital Economy Strategy was adopted in August 2012. Council facilitated NBN Co agreement to purchase land to establish earth satellite tracking station. Fresh tenders called for the renewal of Merimbula Airport runway, excluding extension, after original tender and Strategy process rescinded. Business Plan and Masterplan has been commissioned for presentation to Council March 2013. RDAF 4 $30m EOI lodged for Eden wharf extension, attenuator and marina development, comprising federal, state and local government, and private sector funding. This will complement SCMDC RDAF3 laboratory and refurbishment proposal. Key Achievements - Corporate energy usage figures are measured and can be reported quarterly, for Council buildings. At this point, Shire-wide energy consumption figures are not able to be collated and consideration into the achievability of this area is being considered. Corporate Energy Efficiency improvements are programmed, and procedures and have been established and are being utilised. Report presented to Council on Council energy and fuel use. Key achievements - Year 1 of the Community Environmental Grants program is fully expended and year 2 on target. SRCMA (to be Local Lands Services as of July 2013) partnership meeting and memorandum of understanding was completed with ongoing partnership development opportunity meetings programmed. Entire PEG departmental staff and relevant Engineering staff have completed full vegetation management and endangered ecological communities training. Staff training and REF framework programmed December 2012. 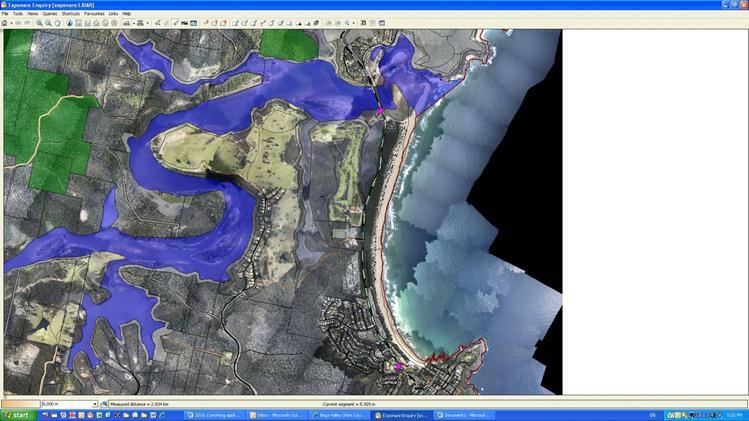 Contract has been awarded to develop Coastal Zone Management and Hazard Plans, and MoU drafted with University of Wollongong and SCG councils for coastal hazard mapping, management and monitoring project. Community Marine Algae Education Project media and guide completed and launched; Pambula lake processes studies completed and EMP commissioned with contract awarded. SRCMA Conservation Management Network actively supported through contributions and technical expertise. Community forums regarding weed and vegetation management completed. Areas of delay Development of a Coastal Co-operative Group is still in the conceptualisation stage and will be further developed in 2013, with revised target dates to go into the next Operational Plan. Key achievements Discussions and detail regarding updated Bushfire hazard mapping have started, but require further working through with the Rural Fire Service (RFS). The European Heritage review was undertaken as part of the draft CLEP. An oral history booklet was completed and launched in November 2012. Aboriginal Heritage study and protocols will be completed early 2013. Tree preservation order procedures have been reviewed and adopted, including public and private tree management systems. Medium term solutions will require further investigation. Areas of delay: Threatened species training for all relevant staff has not yet been developed, nor programmed and will be considered for amendment in 2013. Key Achievements - Pilot projects for the Eden sewerage treatment plant (STP) and Bega administration centre are completed. Energy and carbon footprints have been completed for the organisation and data is now collected on a quarterly basis. Draft Environmental policy including environmental sustainability has been developed and will be reported to Council in 2013. A landfill closure program is being developed in line with regional waste facility development. This will include development of robust land fill tonnages, costs, transfer costs, population impacted etc. Information packages have been developed for new services, including rural changes. Waste calendars have been developed & delivered to approx. 15,000 properties. Key Achievements - Flood modelling and flood plain risk management plan for Bega has been commissioned and is in progress. The Merimbula effluent options study is now 90% complete. Additional effluent reuse options have been identified at Locheil, Millingandi and Wolumla. Oaklands effluent reuse agreement issued. Water quality of estuaries and beaches were found to be high, partly due to the positive impacts of the Bega Valley Sewerage Program. Only 1 beach got a lower than high value but it was still rated acceptable for use. Key Achievements - A Climate Change Policy and Strategy has been completed. Key Achievements - Coast and estuarine funding as well as weed management funding has been secured for 2012-13 year. A weed education strategy has been drafted and is underway. Weed plans and management activities are both completed and ongoing. Bega River Rehabilitation Plan funding secured with SRCMA as well as Bega Brogo Floodplain and urban NRM funding. Key Achievements - Flood damage repairs on target for completion by June 2013 - McCarthy's and Six Mile bridge replacements completed by Dec 2012; Stockyard Bridge will be complete by Easter 2013. Significant repairs and flood proofing works have been carried out on existing concrete causeways and bridges damaged in the recent floods. Cobargo Street, Cobargo drainage upgrade is complete. 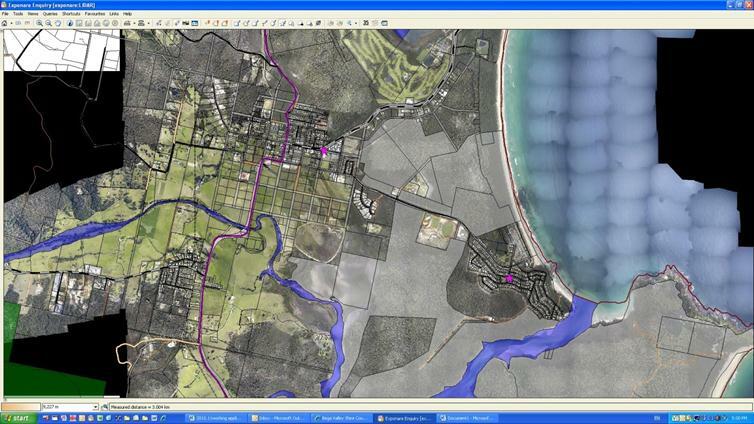 Bega traffic study consultancy brief prepared and expressions of interest for consultancy called for. RMS Bega by pass on target for completion in 2013. Council has been assisting by providing burrow areas for select fill and by widening Buckajo road and Coopers Gully road. The result will be an improved road alignment at minimal cost to Council. Key Achievements - Completed audit of all signage within Council road reserves. 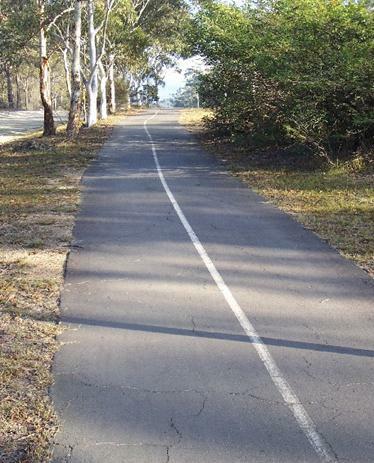 Key achievements - A review of Council's footpath upgrade progress including assessment of gaps between Council's footpaths, cycle ways and boardwalks is underway. A Bicycle Strategy is currently in early stages of preparation. Areas of delay - Development of community partnership through the establishment of management committees for regional sporting complexes has been delayed until all Council volunteers systems are in place – revised dates will be fed into the next operational plan. Key achievements - Initial work has been undertaken to develop a 'Liftshare' scheme and potential supplier identified. Discussions with other Councils and DLG have determined that a partnership approach with other southern Councils would be preferred. Publication of council role and function report has been made, and promotion of the ID Profile site has been undertaken. Further training, internally, is increasing local knowledge of the site. ABS Census data for consideration as part of our planning processes is being released in stages, with the SEIFA index currently scheduled for release in March 2013, completing the census releases. ABS website and ‘Table Builder’ tool used for collation of information and ID Profile website and data extraction tools used. Areas of delay - Location sensitivity, transport accessibility etc for proposed new facilities will be considered as part of the review of the DP in terms of formalisation, the methodology to be used and resources requirement. Key achievements - Consultants have been engaged to develop design concepts for water treatment schemes for Kiah water supply and fluoridation. Consultants have been engaged to explore options for fluoridation of Merimbula Water Supply, with consultation due to be complete before June 2013. 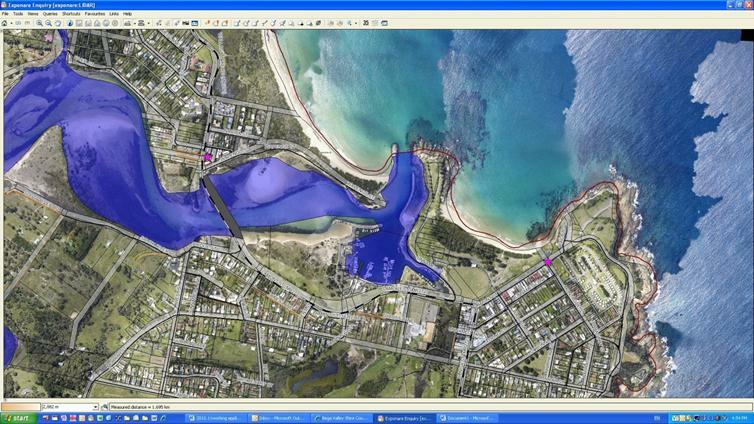 Key achievements - Merimbula Effluent Options Study now 90% complete. Additional effluent reuse options identified at Locheil, Millingandi and Wolumla. Key achievements - New waste collection contract commenced July 2012. In late 2012, the ‘Schedule Development Works Licence’ was issued from the EPA for construction of the Central Waste Facility. The tender process for construction closes in mid-February, with construction anticipated to commence in mid April 2013. Areas of delay A waste strategy review, including, waste audits at kerbside, waste reduction opportunities, transfer station planning and operation, programme of public consultation and waste strategies, in line with the commissioning of the central waste facility, is now likely to take place in November 2013. Key achievements - Study and development of flood plain risk management plans for Bega/Brogo River have been commissioned and are on target for June 2013. Key achievements Local elections occurred in September 2012 with a new Council being elected. Significant induction was delivered. 4 new Councillors were elected in the BVSC including 3 women, making a balance of 5 men and 4 women on Council. New South Wales Electoral Commission costing's and final report, detailing findings from the 2012 local elections is to be received in March 2013. The Council code of conduct is to be reviewed following conclusion of State review, and is scheduled for adoption March 2013. Development of performance indicators, as part of the Council performance framework has continued, and requires further development across the organisation. The Employee performance review process is currently in review for the 2013-14 period, including incorporation of revised performance indicators at position level across the organisation. Over 400 PD's have been reviewed and >3000 performance 'measures' identified. Consideration of new performance indicators is underway where appropriate. Key achievements - A number of staff trained in web administration, enabling organisational sections to update their own sections of the site. Two staff trained as Facebook administrators, incorporating a system of using customer services staff to collect responses to posted questions. The communications strategy workshopped with Councillor's, will explore further administrator options, including using Councillors. The community satisfaction survey was undertaken in December 2012, later than envisaged as a result of council elections, and the results were analysed and are feeding into numerous activities, including the special variation consideration and CSP review. Key achievements A customer service charter has been approved at LEG and draft customer service strategy is in place with further improvements to be made in early 2013. Detailed plan of action is in place to establish and embed solutions in Records section, including the use of TRIM as the core records management system for the Council. TRIM established as the primary records maintenance system and detailed plan in place which will take the system from a simple CRM and workflow system to an integrated and value adding system which complements and enhances the customer service experience. Changes have been made to the out-of-hours function of the call centre which has resulted in this being incorporated within the main call centre, bringing greater consistency to service provision. High levels of success have been had in documenting Finance call scripts and incorporating responses into the call centre. This approach is now being rolled out to more services and will continue into 2013. Key achievements The end of term report was adopted August 2012 and is available on Council website. High level service statements have been developed for all services and are incorporated in the operational plan. More detailed business plans for services are in place for most statutory services, and are being developed for others. Councillors determined to accept the current CSP and DP, rather than review at this stage, as consideration of community survey did not highlight significant shifts in service requirements or priorities. 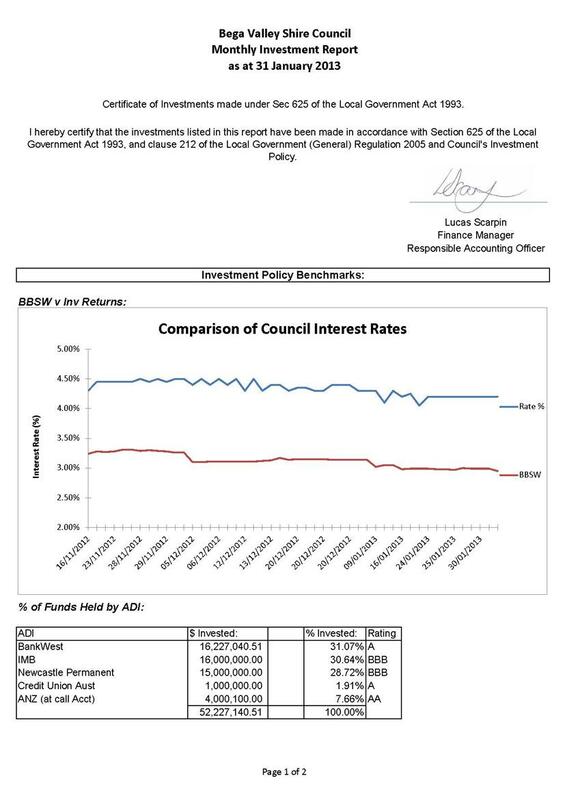 Should councillors not proceed with the rates SV, or IPART refuse the application, a subsequent review of the AMPs and LTFP will trigger a more formal review and community discussion before June 2013. Key achievements A report on the Long Term Financial Plan was presented in November to Council which identified spend and progress, noting in particular that asset renewal is on track and being actively monitored. The General ledger (GL) rebuild is in progress, Works Orders rebuild in progress and costs attributions modelling in progress. A fees and charges matrix review is scheduled to be undertaken once the GL rebuild is completed, expected to take effect June 2013. Establishment of a 'Strategic Funding' resource to source, secure, allocate and report on funding is tied to the organisational restructure scheduled for delivery in 2013. Project plan to integrate financial systems to enable asset-based cost capture is on target, software is being implemented and internal processes are being developed. Trained conveyancing capacity is now in place internally but there has not yet been a requirement to utilise it. Conveyancing services for very large projects is outsourced and reported in the annual report. Policies have been reviewed. A number have been updated and passed by Council and a number are still in progress. A number of changes have been made to Councils policies and processes in relation to supplier management. Council has implemented purchase cards and is now working on supplier agreements. A revised risk audit strategic plan for 2012-2015 has been developed - final comments are being incorporated into document. Lone working and remote working procedures are incorporated into the Work Health Safety (WHS) manual. Safe Work Instruction Method Statement (SWIMS) are under development and ongoing depending on individual incidents. WWW and Weeds Management staff have purchased GPS Epirbs for use in the field. The business continuity plan has been updated. A business continuity exercise is held annually with the next exercise scheduled to be held by March 2013. Expansion of the business continuity plan will be undertaken March/April 2013 following the exercise. A number of financial assistance or in kind grants have been provided for community events and projects. Areas of delay - Partnership approach to bring together institutions who contribute to the state of the community, with Local government as facilitator of long term Community Strategic Planning and reporting, has not yet been documented. Whist there are good examples in place of strong partnership working across Council, there is no formalised strategy to grow and cement this approach to working. This action will be scheduled for the next operational plan. Across the organisation the 2012-13 Operational Plan and subsequently the 2011-16 Delivery Plan, are progressing well. The review and realignment of activity areas undertaken and adopted in June 2012 has enabled a more efficient development of annual actions, and this process will be further developed and enhanced through each annual Operational Plan. That Council receive and note the status update on the 2012-13 Operational Plan and subsequent progress against the 2011-16 Delivery Plan. 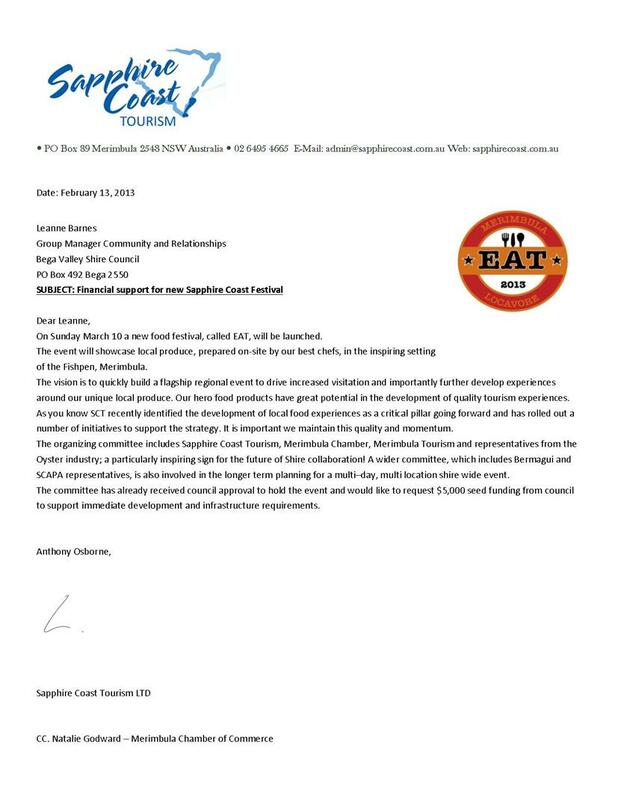 Sapphire Coast Tourism have requested financial support from Council for the EAT event that will be held on Merimbula on 10 March 2013. EAT will be launched on Sunday 10 March and will be held at the Fishpen in Merimbula. The event will showcase plated premium local fare from accomplished local chefs and will also feature local produce from around the Shire. The organising committee includes Sapphire Coast Tourism, Merimbula Chamber of Commerce, Merimbula Tourism and representatives from the Oyster industry. The committee hopes to build a flagship event to promote the Shire as a whole and increase tourism. Sapphire Coast Tourism is seeking $5,000 to support immediate development and infrastructure requirements. The EAT event will bring visitors to the Shire and allow for businesses to benefit financially. If this event is successful and is an annual occurrence it will bring continued tourism and growth to the Shire. 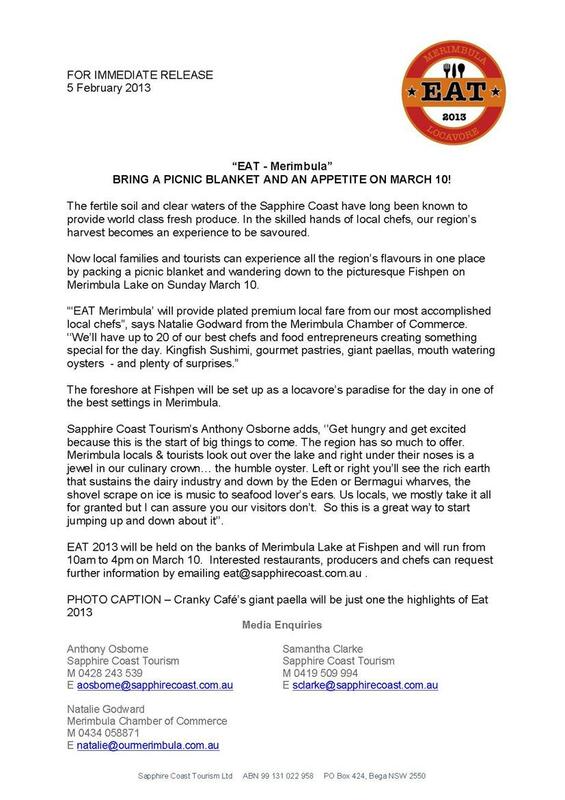 That Council approves $5000 to be provided to Sapphire Coast Tourism for the 2013 EAT event to be held in Merimbula. This report is dealing with the rationalisation of public toilet assets and reduction of services. As part of the Council Community Strategic Plan process, the Recreation Asset Management Plan (AMP) was adopted by Council on 20 December 2011. 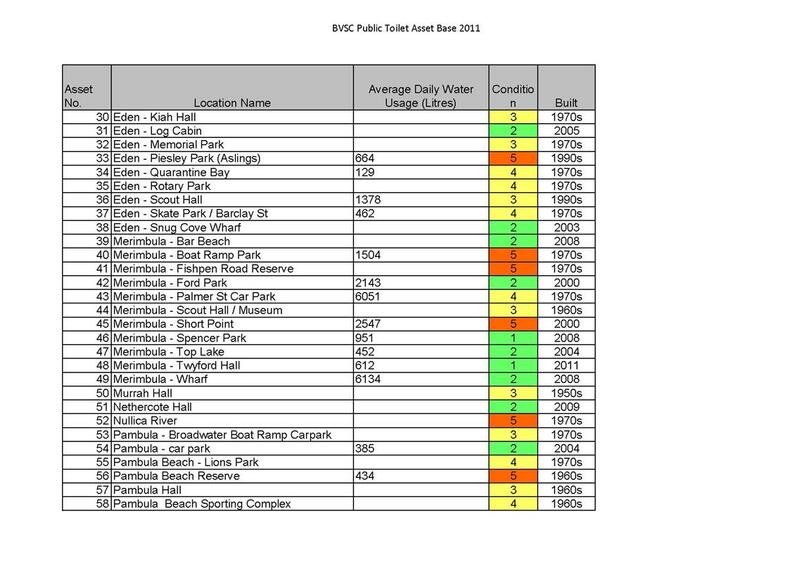 An asset ‘backlog’ was identified in the Review Today (Prof Percy Allan) ‘asset and financial sustainability review’ in 2010, including recreation and public building assets such as public toilets. In subsequent reviews of assets and services by Council in 2011 to manage the backlog without the impost of successive/cumulative rate increases, Council decided to address the backlog over 20 years rather than 10 years, borrow funds and rationalise some assets. The Financial Summary section of the AMP, illustrates that to reduce the “backlog” of renewals of all recreation assets over the next 20 years to a manageable level of $1,266,700 in 2030 (ie 2% of Recreation Asset Values), the level of service/assets needs to be reviewed. The assets/levels of service that would not be renewed in this scenario may include: some public toilets, wharves, playgrounds and parks. Councillors considered these issues at workshops in December 2012. The rationalisation of toilets at Wallaga Lake, Mogareeka, Yellowpinch and Nullica will remove the risk of an environmental spill during major floods or through blockages of amenities/OSMS. Rationalisation of toilets will allow funding to be directed to the renewal of strategic toilets and maintain a financial sustainable backlog of <2%. There are 79 Council toilet facilities throughout the shire of which 61 are maintained by Councils Town Teams. In addition toilets are available to the public through the private sector (service stations, hotels, fast food outlets, restaurants) and toilets at many public halls/cemeteries (some with restricted access). Most of the toilets are old and are not inviting to use. Many have problems with the treatment system and the structure. These aspects featured poorly in the 2012 Community Survey. Currently there are approximately $1.36 million in condition 4 & 5 (backlog). The 10 year chart (if no rationalisation) shows this amount will increase to $7.8 million. The 20 year chart (if no rationalisation) shows the amount will increase to $9.9 million. It is suggested that there be a criteria established as to the need for a public toilet, so that the “emotional” debate is not paramount. 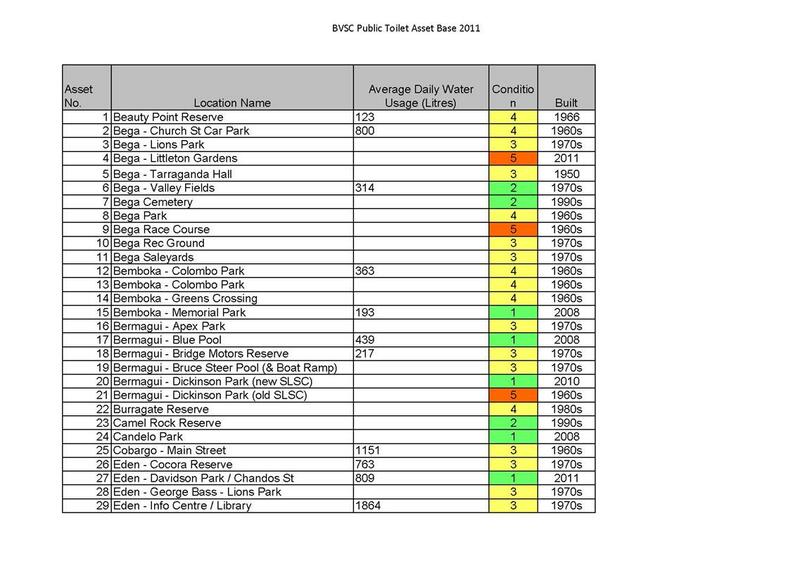 · Average daily water usage (litres/day)It should be pointed out that the cleaning by staff is within this figure. · Australian National average provision is 1 facility per 1600 population. In BVSC the average is 1 facility per 540 persons. Councils 2012 Community Survey showed that whilst cleaning and maintenance of public toilets was important to the community ( Figure “C”), the satisfaction with current standards is low. Rationalisation of toilets will help reduce the “backlog of renewals” to a financially sustainable level over the next 20 years in accordance with the long term financial plan. Contract and Council staff and equipment will be required as part of toilet removal and site remediation. 2. That the public toilets rationalisation and services schedule detailed in the report be adopted. For the purposes of the formal gazettal process, this report seeks to amend the resolution of 16 January 2013. The report to Council on 16 January 2013 detailed the requirement for the acquisition of 0.17 hectares of land resulting from the upgrade and widening of Wanatta Lane which was a DA Condition for the new Central Waste Facility. The road upgrade design required minor adjustments to the current road reserve boundary, requiring the acquisition of 0.17 hectares of land from Lot 36 DP 787823. A specific resolution of Council is required to enable a gazettal notice to be lodged to dedicate the land being acquired as a public road. A further resolution is required with respect to the dedication of the land described as Lot 3 in DP 592206, with an area of 1.553 hectares, of which the Bega Valley Shire Council is the registered proprietor, as public road. There are no financial implications associated with this land acquisition and dedication. The amended resolution is required in order to complete the formal processes for acquisition and dedication of the relevant land as a public road. 1. 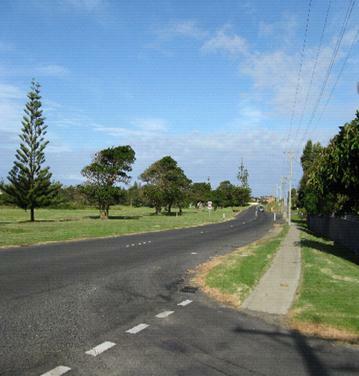 That Council approve the acquisition of 0.17 hectares of land from Lot 36 DP 787823 for the upgrade and widening of Wanatta Lane, as detailed in the report to Council on 16 January 2013. 2. That Lots 1, 2 and 3 of the plan of land to be acquired for the purposes of the Roads Act 1993 within Lot 36 DP 787823 and Lot 3 DP592206 are required for road and after construction will be dedicated as public road pursuant to section 10 of the Roads Act 1993. 3. That authority be delegated to the General Manager to execute all necessary documentation. 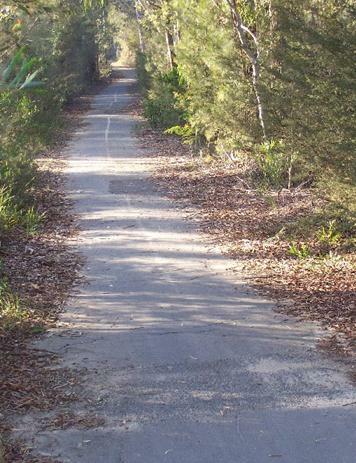 Council has been advised by the NSW Department of Planning and Infrastructure that it has been successful in securing funding in the 2012 round of the NSW Coastline Cycleway Grant program. The NSW Government, through the Department of Planning and Infrastructure funds the NSW Coastline Cycleway Grants program, to progress the implementation of the cycleway through non-metropolitan coastal Councils. The aim of the program is to improve access within and between coastal communities. 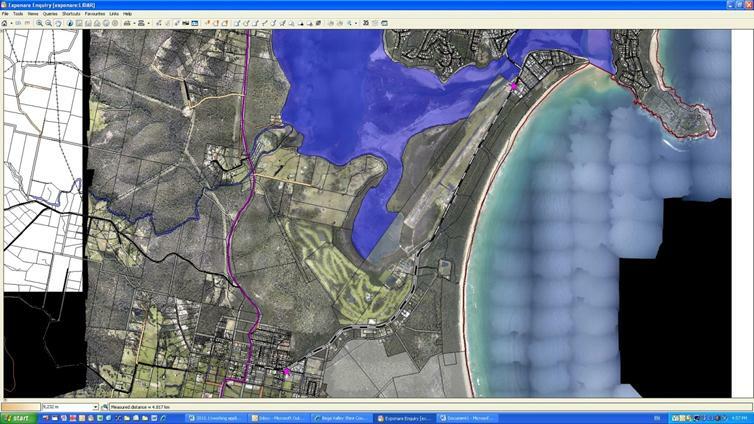 This section will repair and upgrade the existing path from Tathra to Mogareeka / mouth of the Bega River. 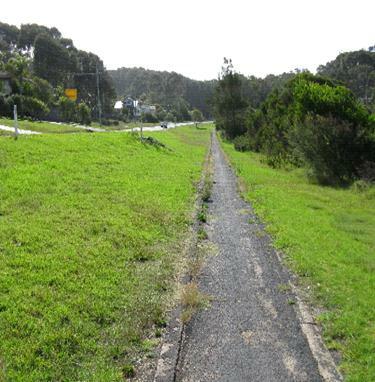 This section will repair and upgrade the existing path from Bermagui Bridge to Bermagui town centre. 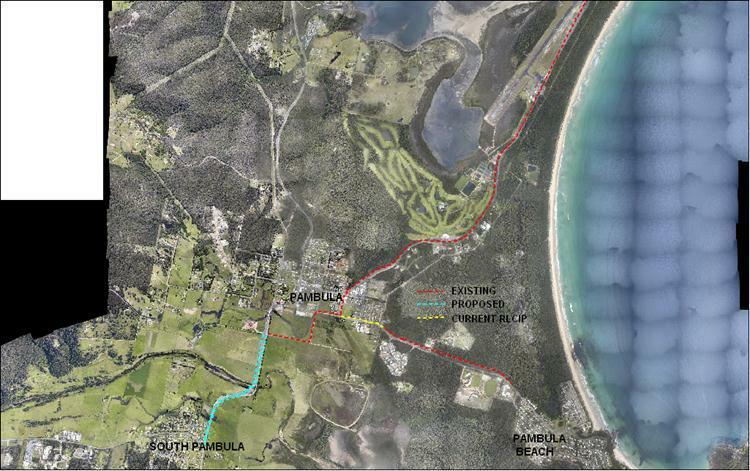 This section will repair and upgrade the existing path from Pambula to Pambula Beach. Given existing funding levels, emphasis is on the renewal of existing assets based on location, usage and population demographic. Renewal of shared pathways and cycleways is consistent with the Recreational Asset Management Plan. The draft Bicycle Strategy is expected to be workshopped and exhibited soon. It is noted Council has previously received requests to consider a pathway along the Bermagui foreshore from the bridge to the Fisherman Wharf, as the path is incomplete on the southern side of Lamont St. Considerable staff and project management resources will be required for the management and delivery of this asset renewal project. The resurfacing of pathways and cycleways throughout the Shire will provide improved facilities and encourage greater use. That the General Manager be authorised to execute a funding agreement with the Department of Planning and Infrastructure under NSW Coastline Grants Program on a dollar for dollar basis in the amount of $200,000 for the 2012/13 financial year for the resurfacing of sections of shared pathway at the following locations. The Bega Valley Historical Society are seeking Council approval to enter into a five year licence to occupy the lower level of the Old CBC Building in Auckland Street, Bega for the purpose of storage of heritage items. The CBC Building is owned by the Bega Reserve Trust (R180031), the affairs of which have been managed by the Bega Valley Shire Council since 1987. The building has significant heritage value and was listed on the State Heritage Register in April 1999. By way of background, the Old CBC Bank Building was occupied by the Bega Valley Community Transport Service (BVCTS) under a licence agreement since 1994, however due to parking and access issues, they vacated the site in late 2010 to move to more suitable premises. Although Council has had community interest in the use of the building, the internal staircase in its current form prevents the use of the entire building, as it does not comply with building standards and is considered unsafe for use. Alterations to the staircase would need to be carried out prior to any further occupation of the top floor of the building. The Bega Valley Historical Society expressed their interest in taking over the management and control of the lower floor of the building, for the purpose of storing part of their historic collection. The Building has been vacant for in excess of two years and there are public risk issues with the building remaining unoccupied in the long term. The draft licence agreement will need the consent of the Minister for Lands once endorsed by Council. Council is the Trustee Manager of the building and as such, ownership of the asset belongs to the Crown. Due to the Permanent Conservation Order over the property, any major modifications to the structure or fabric of the building must be in accordance with the guidelines from the NSW Heritage Council. The building was built by Nicholas Bouquet in 1865 for the Commercial Banking Company of Sydney. It is understood to have been the first bank in Bega, the first two storey building and the third building of substance erected in the town. The building is an important reminder of Bega’s early commercial development and its subsequent changes. As per the terms of the previous lease, the annual lease fee for the first year of the new lease is to be based on current market rental value. The annual lease fee for the first year will be based on the above assessment (plus GST). An annual CPI increase will also be applied at the end of the first, second and fourth years of the lease, with a further current market rental assessment to be carried out at the end of the third year. The in-principle support of the Minister for Lands was sought, prior to this matter being reported to Council. Council staff have liaised with both the Bega Historical Society and Crown Lands Division and will prepare the draft licence documentation. Ongoing management of the lease and the building during its term will also require staff resources. Occupation of the lower level of the Old CBC Building by the Bega Valley Historical Society Incorporated is supported by Council staff and Council approval is therefore sought to enter into a five year licence agreement for this site. 1. That Council approve, in-principle, a five year licence for the Bega Historical Society Incorporated to occupy the lower level of the Old CBC Building. 3. That in accordance with the requirements of the Crown Lands Act, Council obtain the Minister’s consent. The Tathra Garden Group are seeking Council approval to undertake the development, maintenance and management of a community garden area at Haven Place in Tathra. Council has been approached by the Tathra Garden Group, who are seeking the use of Council land for a community garden at Lot 114 DP 786308 Haven Place in Tathra. By way of background, ongoing discussions have been held between Council staff and the Tathra Garden Group to find a suitable location for a community garden in Tathra. The Group’s preferred site, the Green Shed (and surrounding reserve) in Andy Poole Drive, was rejected by Crown Lands. The Green Shed site was considered an unsuitable location for a community garden, as it was not the best use for a centrally located public recreation reserve. In order to rectify the situation, Crown Lands in consultation with Council, compiled a list of suitable community land on which a community garden could be located in Tathra. Lot 114 DP 786308 Haven Place with its close proximity to senior living is considered to be the most appropriate site. A site map is attached. A draft agreement will be prepared by staff for the Tathra Garden Group use of the site. Council retains ownership of the land and the Tathra Garden Group, as a community committee of Council, will retain overall care, control and management of the site. The Tathra Garden Group will be responsible for the development, maintenance and management of the areas identified in the licence agreement. The development of a community garden by the Tathra Garden Group has great social potential, providing mechanisms to increase social opportunities of the elderly and those who live on their own, as well as providing increased health benefits. There is no expectation of financial support from Council for the maintenance, development and management of the Haven Place reserve at this time. This will also be the case for the community garden area. As part of the licence agreement, Tathra Garden Group will be required to pay for their own utilities, including any connection fees. An annual fee will form part of the licence agreement. Staff time has been required to liaise with the licensee as to the terms of a further licence agreement. The addition of a community garden at Lot 114 Haven Place will become an asset to the broader community. 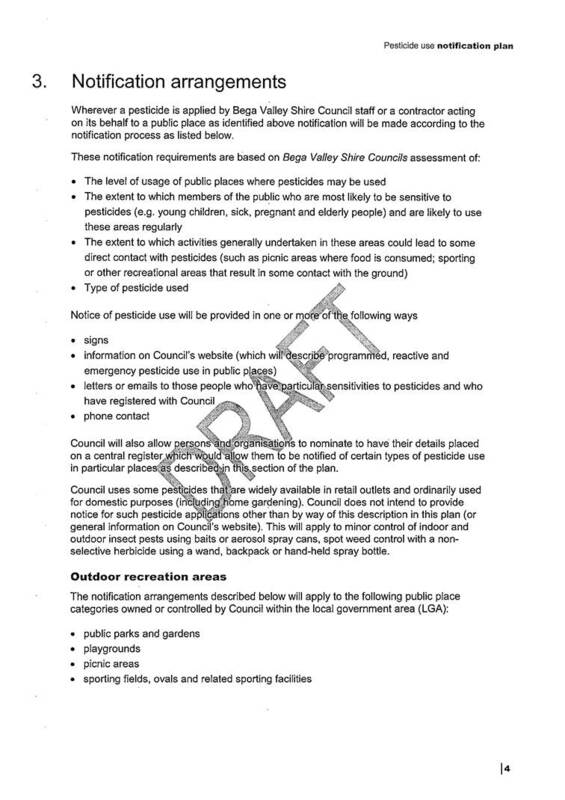 That Council develop a licence agreement to establish a community garden at Lot 114 DP 786308 Haven Place, Tathra.2 That the Mayor and General Manager be authorised to execute the necessary documents. Council has received a request to formally name a Council maintained lane in Bega. 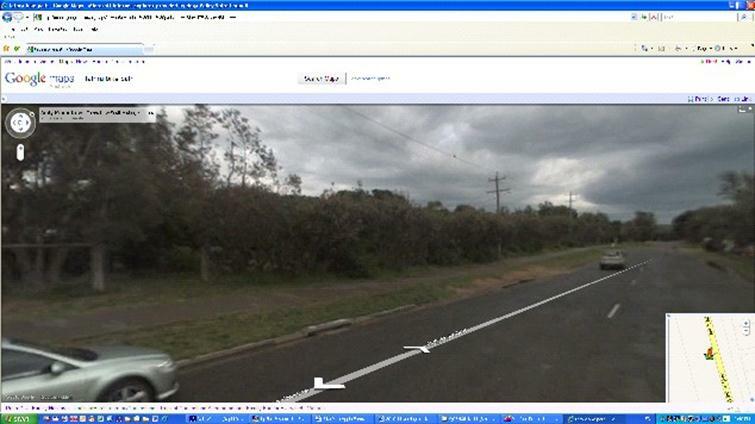 Council has received a request to formally name a lane in Bega, located off High Street (see attached site map). The name proposed is Underhill Lane which complies with Council’s Road Naming policy. The lane is Council owned and maintained. As there were no suggestions received from the community for the lane, the name was selected from the next available name in BVSC Policy Procedure 2.2.1(b), Schedule 1 - names of war service men and women who have died in or as a result of active service. The Geographical Names Board (GNB), Surveyor General (SG) and Registrar General (RG) have reviewed all the names under the GNB Guidelines for the Name of Roads and there is no objection to their use. There is no impact on the Operational Plan, apart from advertising, which is provided for in the current budget. The proposed formalisation of the road name is in accordance with the road naming procedure, as required by Council and the formal name process should now commence. 1. That Council, by public advertisement, invite submissions for a period of 28 days for the proposed road name, Underhill Lane, Bega. 2. That if no objections are received within the submission period, then authority be given to the General Manager to formalise the naming of the street without further referral to Council. 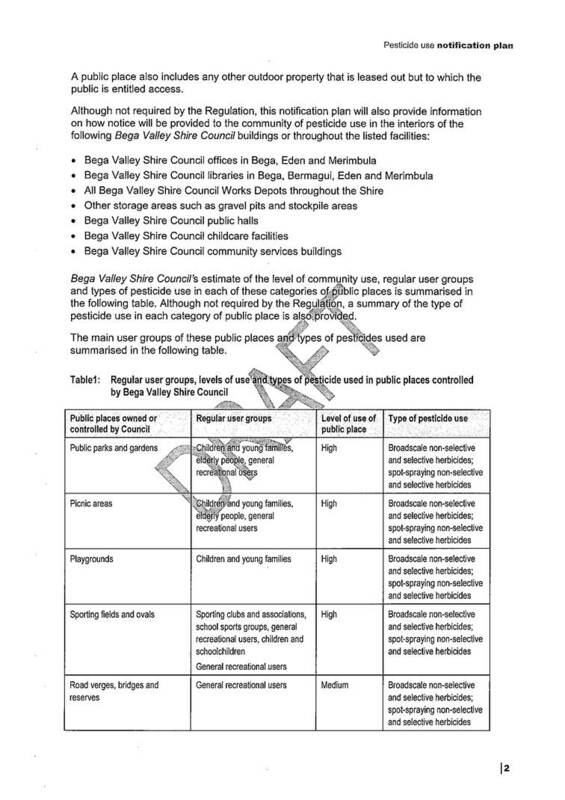 This report recommends that Council adopt the advice of the Bega Valley Local Traffic Committee meeting held on 6 February 2013. 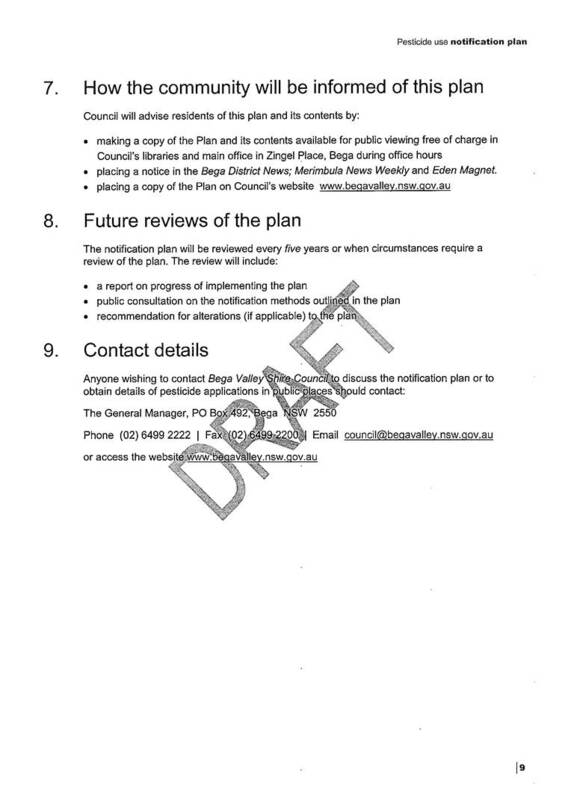 The Bega Valley Local Traffic Committee held a meeting on 6 February 2013, the minutes of which have been distributed separately. It is a requirement that Council formally adopts the recommendations, prior to action being taken. All recommendations were supported unanimously by the Committee. 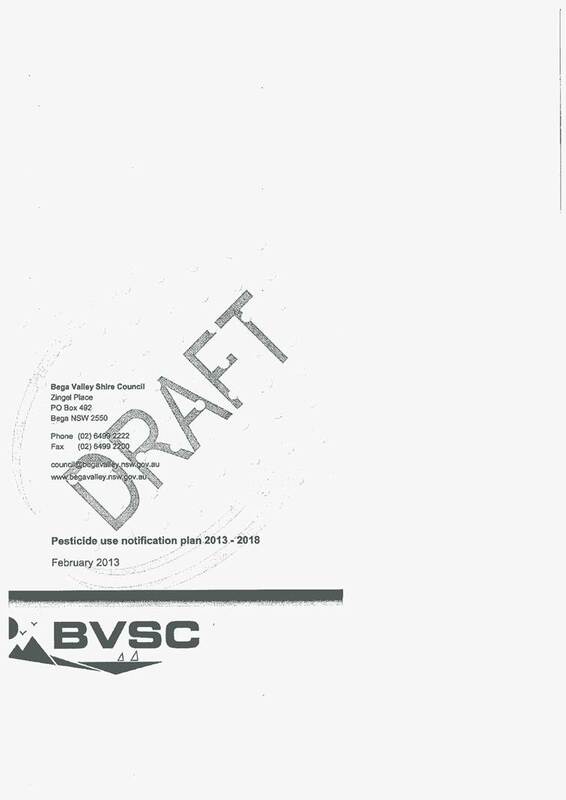 That Council support the use of The Snake Track, Kiah for the Bega Valley Rally, to be held on 9 June 2013 in principle, subject to receipt of a complete application from the organisers prior to the event. 1. That Council support the installation of a disabled accessible parking space at the Candelo Swimming Pool. 2. That Council not support the installation of a disabled accessible parking space in front of 17 Sharpe Street, Candelo. 1. 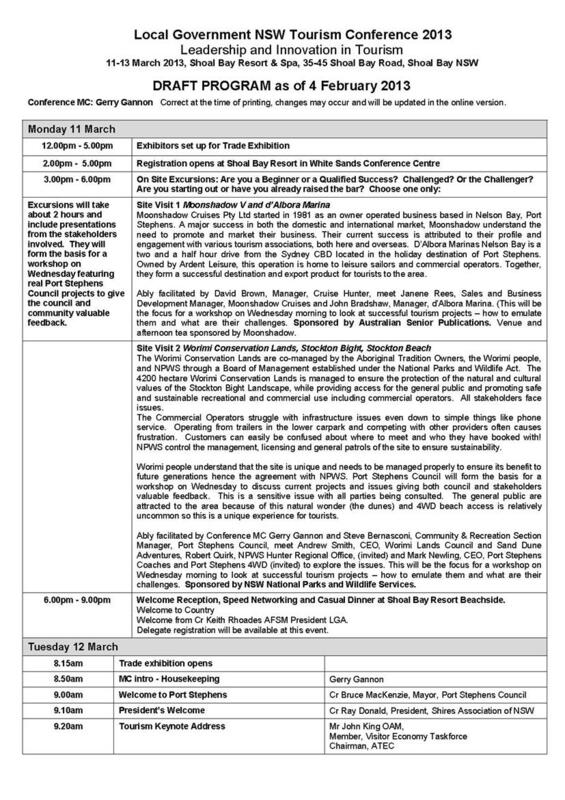 That, subject to conditions, the on-road components in the Bega Valley Shire be approved, for Thursday, 7 March and Friday, 8 March 2013, for the Mountains to Beach mountain bike event. 7. That in respect to the Traffic Management Plan 2013, Intersection Treatments Code 10.14, all riders must dismount when on the footpath in accordance with NSW road rules. There have been amendments made to the State Emergency Rescue Management Act 1989. Local and District Emergency Management Committees have been advised of the changes and how they may affect their engagement into and the facilitation of emergency management within their respective spheres of authority. Council participates in and facilitates emergency management in the Shire, as a planner, funder or collaborator in response to events. Staff chair or administer the Local Emergency Management Committee and through that, maintain the DISPLAN. Council provides premises such as SES or RFS sheds and may also set up an Emergency Operations Centre, if required (currently the Council Chambers, should the RFS Operations Centre be engaged). · The Bill also seeks to ensure that the nature of the work undertaken by Emergency Management Committees and the relationships between each level of the Committee is appropriately reflected in the legislation. · The renaming of the State Disaster Plan, as the State Emergency Management Plan. · The recognition of the Energy and Utilities Functional Area in the legislation. · The definition of functional areas being broadened to reflect their involvement in the prevention of, responses to, or recovery from disasters. · Amendments to the definition of ‘employee’ to ensure volunteers working for emergency service organisations employed within the private sector are covered by existing anti-discrimination protections. · The requirement for General Managers of Councils to chair Local Emergency Management Committees. The Minister for Police and Emergency Services has approved the State Emergency Management Plan (EMPLAN), which replaces the State Disaster Plan (DISPLAN). The EMPLAN seeks to ensure a coordinated emergency management effort, to enhance the resilience of communities and to reduce vulnerability to disaster. It is supported by Sub Plans and Supporting Plans, which detail the response to specific hazards and the roles and responsibilities of specific NSW Government Agencies. · Coverage of prevention and preparation, in addition to response and recovery. Templates and guidelines will be prepared to assist in the preparation of Regional and Local Emergency Management Plans. · A dedicated Emergency Operations Centre (EOC) to ensure efficient emergency management response, in line with State and Local Emergency Management Plans. · Garner community support and confidence in the event of an emergency situation. · Obtain funding and resourcing for emergency management planning and facilities. · Formulate and update Local Emergency Management Plan (LEMPLAN) to improve future emergency response. · Consult combat and support agencies via the Local Emergency Management Committee to ensure understanding of changes to the Act and State Emergency Management Plan. Required resources include the Chairman of the Local Emergency Management Committee, Local Emergency Management Officer and members of the Local Emergency Management Committee. The Local Emergency Management Plan (LEMPLAN) requires a rewrite to mirror changes to the State Emergency Management Plan. The adoption of the Emergency Services Amendment Bill will require the adoption of the Act. Changes will be required to the Local Emergency Management Plan to mirror the State Emergency Management Plan. Also, the Chair of the Local Emergency Management Committee should attend Regional Emergency Management Committee meetings, rather than the Local Emergency Management Officer, unless delegated. That the report on the Emergency Services Amendment Bill be noted. 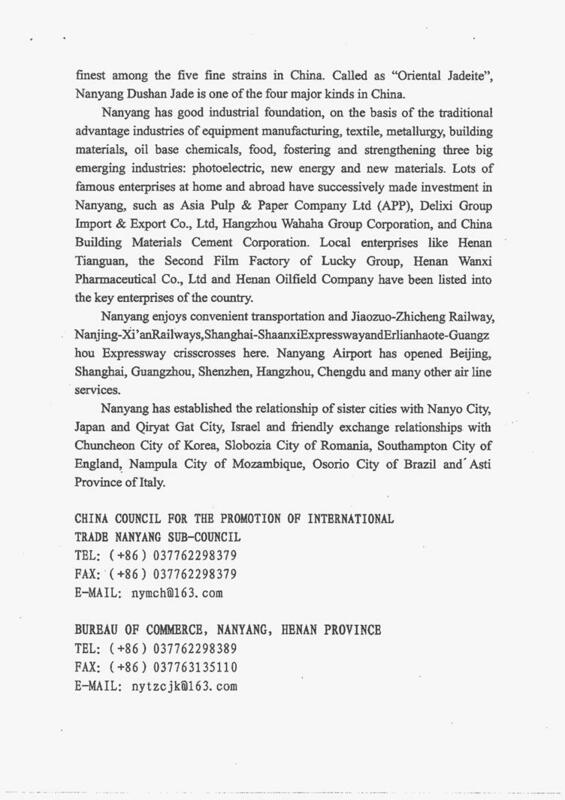 Council has been invited to visit Nanyang China as guests of the City for the Jade Festival in April 2013. On 18 January 2013, Cr Britten and the General Manager attended a meeting in Canberra APH with representatives of the city of Nanyang at the invitation of Senator Bob Baldwin and Mr Michael Guo of the Australia International Trade Association (AITA) and Australia-China Business and Sister City Summit. Also in attendance were representative of Wagga Wagga Council. Councillor Britten attended a forum in China in 2012 coordinated by AITA that prompted this visit. Nanyang is located in south western Henan, covering an area of 26600km2 (four times the area of Bega Valley), and a population of 11million (half that of Australia). Significantly, it is located between the largest cities in China – Beijing and Shanghai. The city has significant forest, water, mineral and tourism interests with a third of the landmass held as forest. 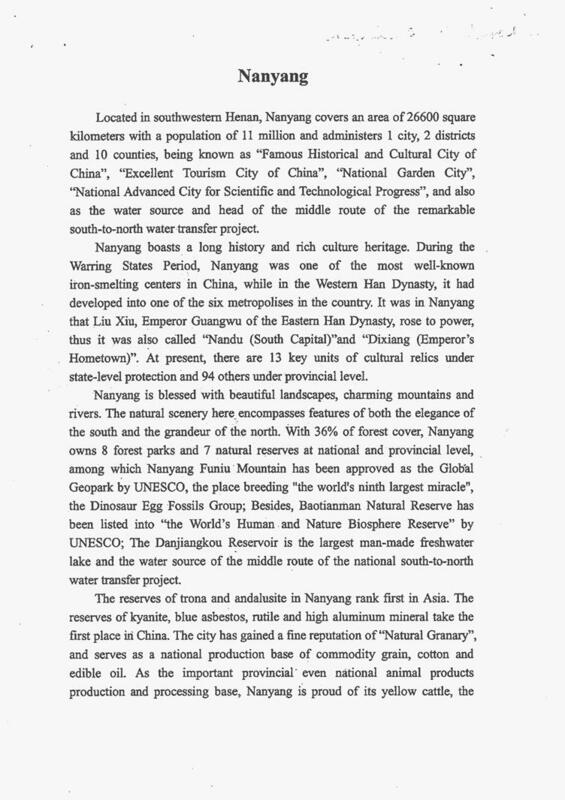 Similarities of interest between Bega Valley and Nanyang emerged during discussions through a local interpreter, including Chinese interests in coastal and nature tourism, dairy and aquaculture, forestry, digital technology, renewable energy, access to airport and freight though Eden port. Of additional interest was the relationship of Bega with Wollongong University – an area in Nenyang sharing that name, and a potential conduit to education exchange/students. The head of the delegation invited Councillors/community/business to attend the Jade Festival as guests in April/May 2013. Attached is a summary outline of the City. Since that meeting, AITA have offered to assist arrangements for a visit to Nanyang for the Festival on 28 April, in the company of University of Wollongong representatives if possible. AITA have also indicated an opportunity to liaise with local high school and TAFE principals in regard to student exchange or placements. A memo on those scenarios has been circulated to councillors. The Council and community delegation to Ordos in 2011 was funded personally by the attendees. The subsequent delegation of Ordos government officials to Bega in 2012 was sponsored by council though a civic reception and tours though the shire. The feedback from the community delegates was very positive, and high hopes were held for developing a relationship of education exchange for young students. During the meeting with Senator Baldwin and the Nanyang delegation, it became apparent that appropriate social and economic material should be prepared in Chinese for brochures and web material under Councils ‘Live, Work, Invest’ site. The opportunity to engage with Chinese public authorities and business interests emerged initially with a cultural/educational exchange with Ordos Inner Mongolia, aimed at developing student entry to trades and other education faculties available in the Shire. The opportunity to extend that thinking into digital technology exchange and investment through a network involving the Snowy Mountains (Cooma), Canberra and China emerged at the recent presentation by the IntoIt group to councillors. Since that meeting, AITA have followed up preliminary discussions on Chinese interest in investment in infrastructure or operations through Eden Port. It is proposed a visit by representatives of Anhui Construction Engineering Group may be arranged in March. In accord with the precedent of the Ordos visits, it is presumed councillors, staff or members of the education or business community would attend to personal and travel costs. Nanyang have offered to host accommodation and meals. An appropriate length of time in Nanyang City may be three days, with perhaps initially two days in Shanghai and three days after at the end in Beijing. The local interpreter who assisted the Canberra visit could be engaged to assist the delegation. Further discussion should be held with schools, TAFE and university, should councillors wish to proceed, suggesting school holidays may the best period to arrange visits. It is presumed reciprocal arrangements may be required for Nanyang students visiting /attending schools in the shire. To report the details of Council’s investments during the month of January 2013. · Reserves table: This tables outlines any and all reserves that are linked to that particular function and there movements throughout the financial year. It is the intent of this report to provide valuable financial information to the users of the QBRS report in order to illustrate the financial performance of each particular function of Council. The next evolutionary step for this report is to incorporate the Community Strategic Plan operational deliverables into the theme summaries with reference to the budget and the tracking of their financial information. · An increase in the Renewals vote in Urban Roads. · Representation of a number of small grants received in the December quarter. 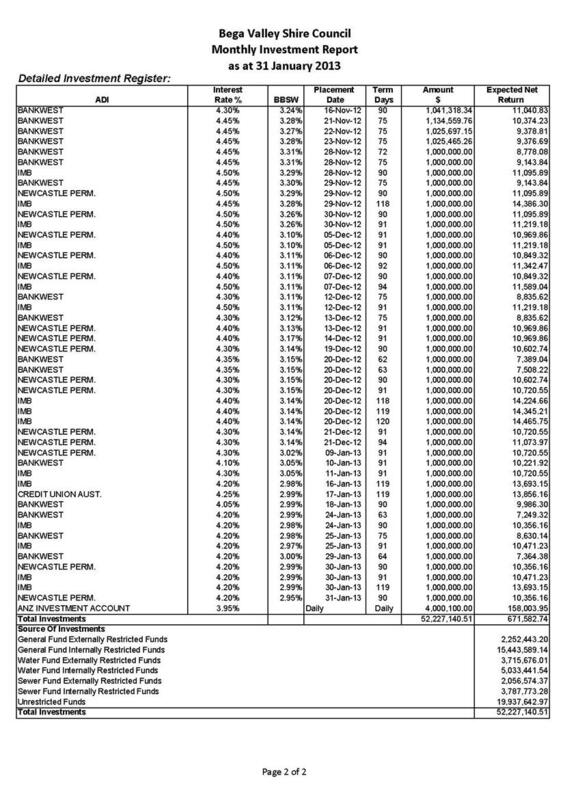 · A number of smaller variances representing the movement of budgets to reflect the actuals being transacted throughout Council. Council’s December 2012 QBRS has been presented to Council. Council budget performance is healthy and within the operating budget set by Council at Q1. 1. That Council note and endorse the December 2012 Quarterly Budget Review Statement. 3. 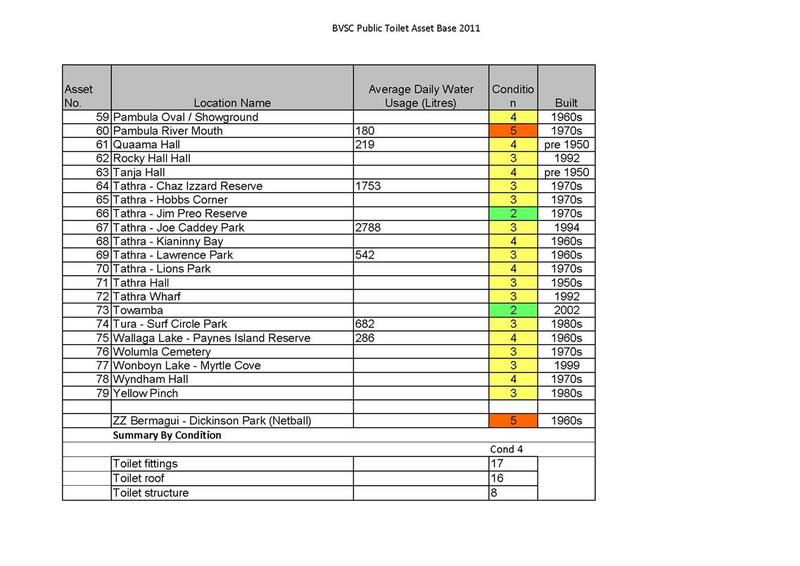 That Council place the QBRS for December 2013 on its website for public access. The 2012 Local Government election was held on Saturday 8 September 2012. This report examines matters relating to the administration and cost of the election. A report was presented to Council at its meeting held on 27 September 2011 advising of the change to the Local Government (Amendment) Election Act to return responsibility for administering elections, constitutional referendums and polls to NSW Councils. Advice was provided that Council would have the option to run the election itself, or engage a third party, or to engage the New South Wales Electoral Commission (NSWEC) to conduct the election. It was also advised that section 55(3) of the Local Government Act had been amended to allow Councils to enter into a contract with the NSWEC without the requirement to invite tenders for the administration of Councils elections, constitutional referendums and polls (even though the estimates exceeded the $150,000 tender threshold). 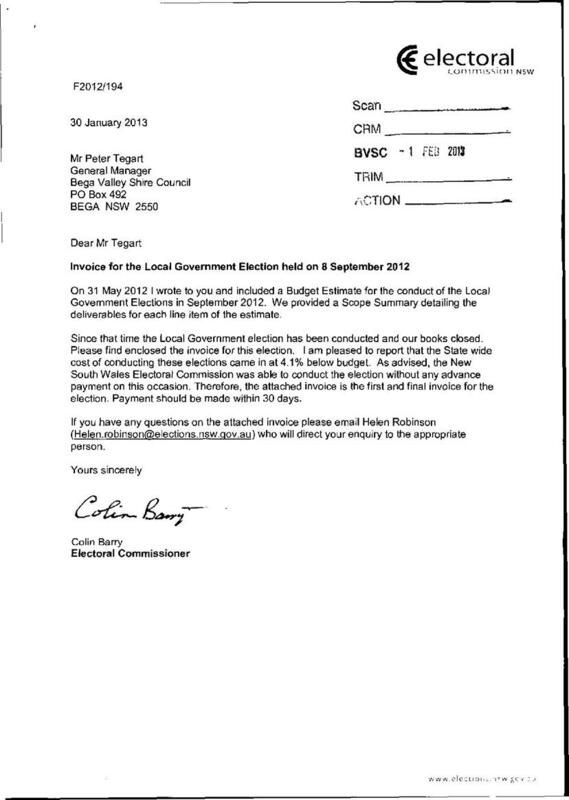 Council engaged the NSWEC to conduct the 2012 election on its behalf. Following the election, the NSW Parliament Joint Standing Committee on Electoral Matters has conducted an inquiry into the 2012 election. The committee will examine matters relating to the cost of the election, the experience of Councils that conducted their own elections, issues arising from non-residential voting and will consider possible legislative changes to improve the election process and remove barriers to candidate participation. On 8 February 2013, Council presented its submission to the Joint Standing Committee, a copy of which is attached to this report. 1 February 2013. The invoice is in the sum of $178, 924.00 exclusive of GST. The invoice and summary has been provided by way of separate attachment. The total expense to Council to conduct the election, is presumed to include the cost of the poll question concerning the Pambula Hospital. As in 2008, the Bega Valley Shire Council and the Eurobodalla Shire Council again agreed to share a Returning Officer for the 2012 election. The accommodation for the Returning Officer (RO) and staff, was arranged in Bega by the NSWEC. It is unclear from invoicing, to what extent the anticipated cost savings of sharing an RO and office were realised. The cost to Council to conduct the 2008 election was $144,200 exclusive of GST. The invoice summaries accompanying the 2008 and 2012 invoices are set out differently and do not enable a simple comparison of the election deliverables to be easily made. 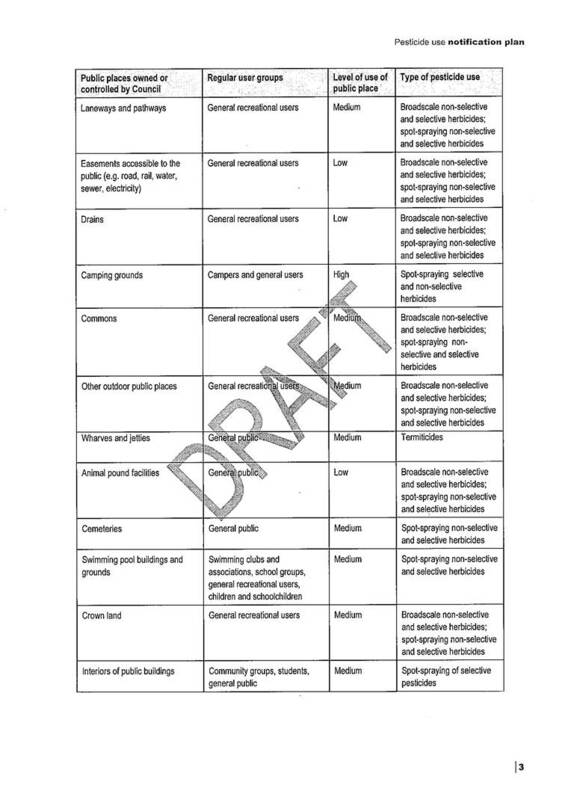 In May 2012, the NSWEC provided Council with a budget estimate and scope summary detailing the deliverables for the estimate. The NSWEC has indicated that the State wide cost of conducting the election came in at 4.1% below budget. The report of the Returning Officer has not yet been received by Council. As in previous elections, residents remained confused regarding the difference in electoral boundaries for a state and local government election. Bemboka and environs is within the Bega Valley Shire Council area, while it does not fall within the Bega state electorate. It was suggested to the Joint Standing Committee in the review of electoral boundaries and local government under Destination2036, a better alignment of council and electorate boundaries should be contemplated. · removal of the ‘close of roll’ cut-off date and to permit enrolment up to the close of the election on the day of the election. Council staff have noted the feedback received from Shire residents in relation to various aspects of the election, which has been included in the submission to the Joint Standing Committee. Councillors were asked to contribute comments for the purposes of the submission to the Joint Standing Committee and three responses were received which were incorporated into the submission. The NSWEC tax invoice is in the sum of $178, 924.00 exclusive of GST. Council staff were required to prepare the Non-Resident Roll, including writing to potential non-resident electors, providing telephone, email or other written advice, receiving applications and data entry for the Roll. Preparation for, and compilation of, the Roll is a cost in addition to the invoice charged by the NSWEC. In addition, staff time was spent liaising with the staff of the Returning Office in relation to a variety of issues in the lead up to the election and afterwards. Council’s customer service staff fielded many enquiries in the lead up to the election and afterwards. Many enquiries were able to be referred to the Returning Officer. That Council note the report and submission made to the NSW Parliament Joint Standing Committee on Electoral Matters. Bega Valley Shire Council appreciates the opportunity to make a submission concerning the conduct and administration of the 2012 Local Government Election in the Bega Valley Shire Council area. The Bega Valley Shire Council elected to have the NSW Electoral Commission (NSWEC) conduct the election in the Shire on behalf of the Council. The Council is required to pay to the NSWEC the costs associated with its election. 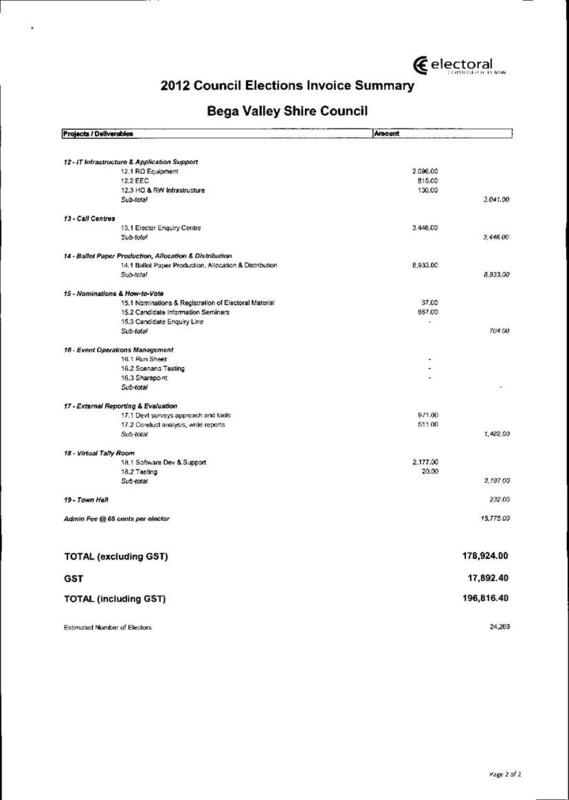 Council has just received the final invoice for the costs incurred to conduct the election, dated 29 January 2013. 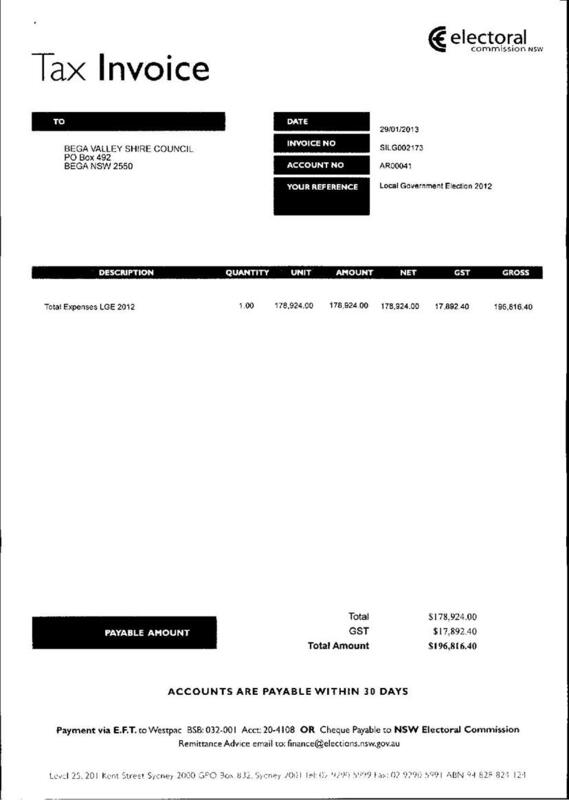 The total expense to Council to conduct the election, exclusive of GST, is $178,924.00, and presumed to include the cost of a poll question. As in 2008, the Bega Valley Shire Council and the Eurobodalla Shire Council again agreed to share a Returning Officer. The accommodation for the RO and staff, was arranged in Bega by the NSWEC. It is unclear from invoicing, to what extent the anticipated cost savings of sharing an RO and office were realised. Provision of estimates by NSWEC, for Council budget purposes, would be appreciated. · removal of the ‘close of roll’ cut-off date and permit enrolment up to the close of the election on the day of the election. Prior to the 2012 election, Council identified in excess of 1000 ratepayers with out-of-shire addresses, being potential non-residential electors. In view of the costs associated with a general mail-out or advertising by Council, it was decided to send the 2012 non-residential roll material and application forms to the electors listed on the 2008 Non-Resident Roll (43 electors). In addition, because the NSWEC conducted non-resident roll advertising within the state, it was decided to undertake a small mail-out focusing on interstate potential non-resident electors. The 2012 Bega Valley Shire Council Election Non-Resident Roll dated 2 August 2012 listed seven (7) non-resident electors. Council received a small number of applications after the closing date. Council also received a small number of application forms completed by persons who apparently misunderstood the process, e.g. local residents renting accommodation in the Shire who were not ratepayers, but believed they would be unable to vote unless they enrolled as a non-resident elector. It is proposed that for future local government elections, in order to reach as many potential non-resident electors as possible, the option to send out material with rates notices be explored. However, this would necessitate the relevant application form and related material being made available by the NSWEC earlier in the year in order to meet deadlines and timeframes for the mail-out of annual rates notices. Alternatively, it is suggested that individual Councils be permitted to prepare their own non-resident roll materials and have them approved by the NSWEC earlier in the process for use in accordance with a Council’s individual circumstances. A further suggestion to improve the efficiency of the non-resident roll process and to maximise voter participation is to permit eligible electors to enrol and vote on-line or by postal vote. The comment has been made that there be inserted a specific provision in the legislation dealing with self-funded independent candidates. In rural areas, candidates are often self-funded. Such a provision may assist to reduce paperwork and encourage more candidates to stand. Council staff were required to prepare the Non-Resident Roll, including writing to potential non-resident electors, providing telephone, email or other written advice, receiving applications and data entry for the Roll. Preparation for, and compilation of, the Roll is a time consuming task, and a cost in addition to the costs charged by the NSWEC. In addition, considerable staff time is spent liaising with the staff of the Returning Office in relation to a variety of issues in the lead up to the election and afterwards. There was some feedback after the election concerning the lack of public awareness of the election taking place and confusion surrounding the inclusion of the poll question concerning the retention of the Pambula hospital. Comment was to the effect that a lack of awareness and/or advertising contributed to the lower than anticipated voter turnout and failure to vote. Suggestions received following the election included a general mail-out to be carried out, to ensure that all potential electors, not just ratepayers, were aware of the election. A further suggestion was that better use be made of local ABC radio to increase awareness of the election. The decision by the NSWEC to not place a polling station at Bimbimbie Retirement Home in Merimbula, as had occurred in the past at elections for all levels of government, was called into question and numerous local residents indicated they were inconvenienced by this decision. However, on balance, the costs saving associated with this decision may prove to outweigh the level of inconvenience. In the lead up to the election, Council staff fielded many enquiries, particularly in relation to pre-polling and opening hours of the three pre-polling stations in Eden, Merimbula and Bermagui, and as to the location of the Returning Office in Bega. There were comments that there needed to be greater awareness of the actual location of the Returning Office in Bega. The election itself appeared to have taken place smoothly and the declaration for the Shire occurred promptly, particularly given the resources of the Returning Office were also directed to the conduct of the Eurobodalla election which involved the popular election of Mayor. However, this process of sharing a Returning Officer, whilst claiming to enable costs and resource savings, may in fact increase time, resources and costs to Council and review of the process may be warranted to ensure it is of benefit to stakeholders. As mentioned above, the decision was made in 2012 to not place a polling booth at Bimbimbie Retirement Home in Merimbula. Whilst this may ultimately represent a cost saving, the decision appears to have been made without reference to the Council. It may be of value to consider the position of Council in future in such matters, on the basis that local staff are more aware of community needs and sentiments than staff based in Sydney. There was also confusion and a perceived lack of communication between the NSWEC and site owners/managers in relation to the hire arrangements for polling booth sites and confirmation of same. The week of the election, Council staff were required to assist to confirm arrangements for the Eden Community Centre for pre-poll and polling. Feedback has been received in relation to the polling booth at the Bega High School. Electors were apparently confused as to where to go. On previous occasions, the polling booth was at the School itself whereas for this election, it was located in the Hall which is somewhat out of the way. The candidates had set up outside the school and not the hall. The hall itself was stated to be inadequate for use as a polling booth, as there were no kitchen facilities. Again, residents remained confused regarding the difference in electoral boundaries for a state and local government election. Bemboka and environs is within the Bega Valley Shire Council area, while it does not fall within the Bega state electorate. It is suggested in the review of electoral boundaries and local government under Destination2036, a better alignment of council and electorate boundaries should be contemplated. The National General Assembly of Local Government will be held at the National Convention Centre in Canberra between 16 and 19 June 2013. As the major event on the annual local government events calendar, the NGA last year attracted more than 850 mayors, councillors and senior officers from councils across Australia. 3. Complement or build on the policy objectives of state and territory associations. Councillors may wish to consider submitting motions on those matters. Registration is now open for attendance at the conference. The General Manager, Mayor and Deputy Mayor have represented Bega Valley Shire Council at the Assembly in the past. A draft program for the assembly is not yet available. 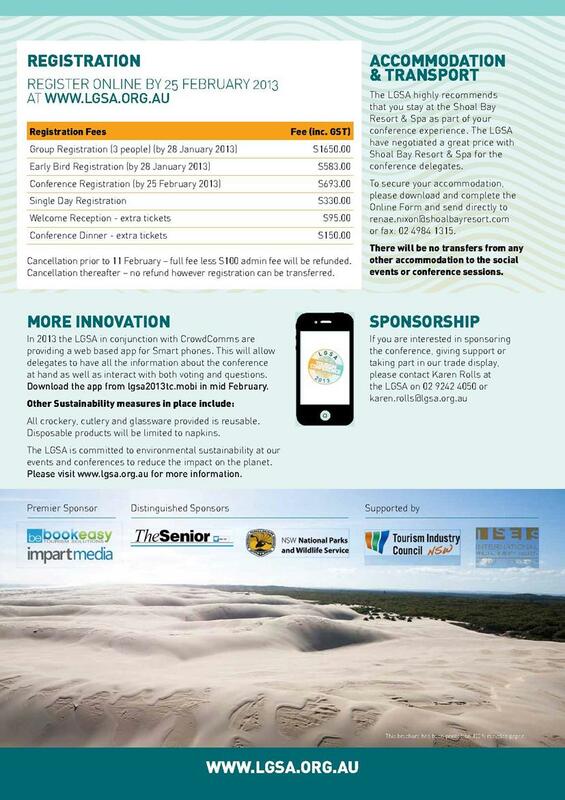 The cost to attend the 2013 National General Assembly per delegate is $899 (early bird registration before 22 April 2013), accommodation approximately $750-900, plus travel costs. Council’s budget in 2012/13 for expenses incurred by Councillors acting as a delegate to Bega Valley Shire Council when outside the shire is $19,500 of which approximately $12,500.00 has been expended leaving a balance of $6,000. It unlikely the NSW Shires Association Conference will be held in 2013. It is appropriate that Bega Valley Shire Council is represented at the ALGA meeting and involved in the discussions. This conference has been listed in the Operational Plan for attendance by Councillors and the General Manager on an annual basis. 1. That Council endorse Crs (names to be inserted at the meeting) and the General Manager to attend the ALGA 2013 National General Assembly at the National Convention Centre in Canberra on 16 to 19 June 2013, with the necessary travel and accommodation costs to be defrayed by Council. 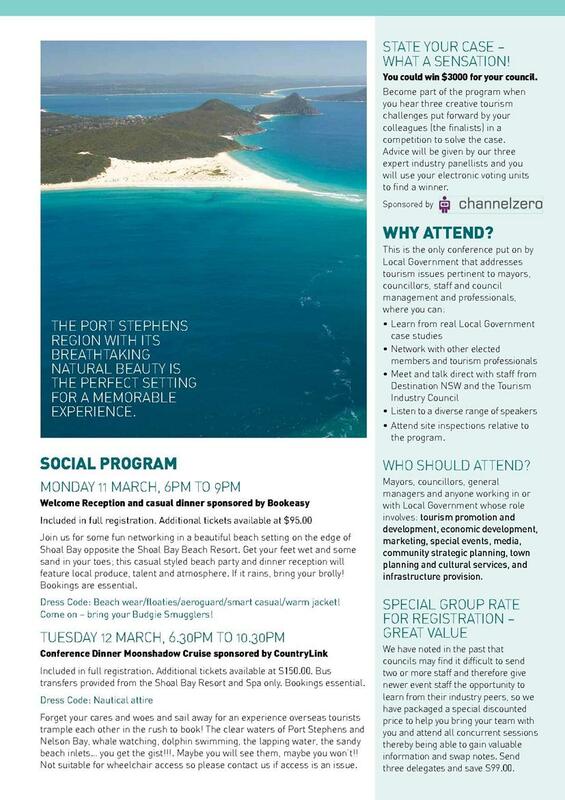 11-13 March 2013, Shoal Bay NSW. 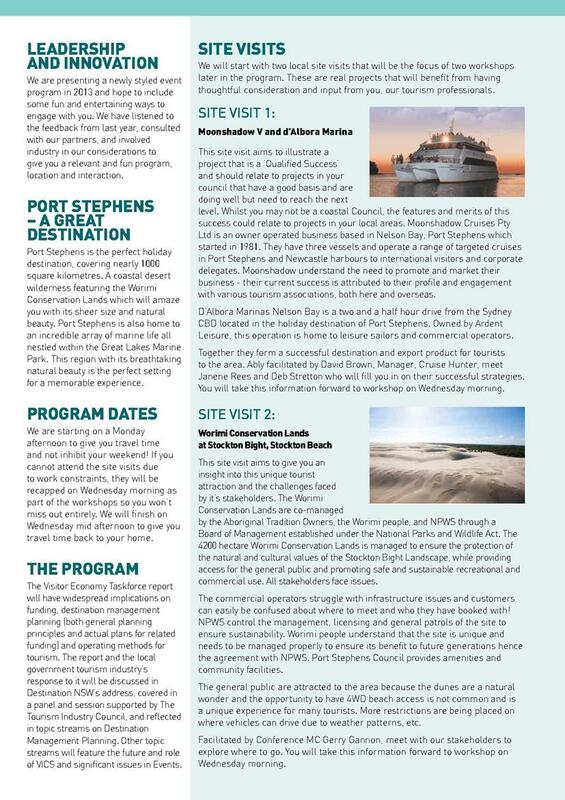 The Local Government NSW Tourism Conference will be held at the Shoal Bay Resort in the White Sands Conference Centre between 11 and 13 March, and is directed to tourism issues pertinent to Mayors, Councillors, and Staff. It is understood delegates from Cruise Eden will be attending this conference. 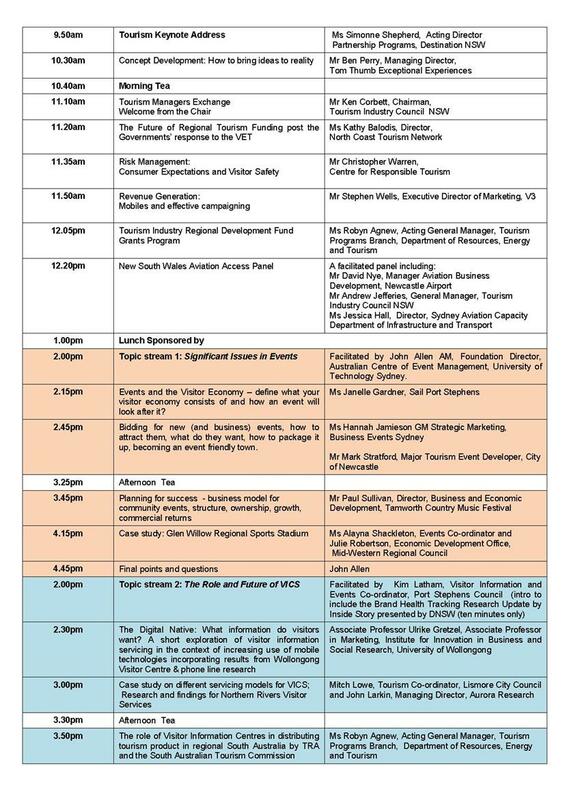 The Visitor Economy Taskforce report will be discussed by Destination Australia NSW. An overview of the report will be provided by Destination Australian regarding Local Governments’ tourism industry response. Registration is now open for attendance, the draft program and registration information is attached. The cost to attend the Local Government NSW Tourism Conference per delegate is $693.00 and accommodation is approximately $150 per night, plus travel costs. Council’s budget in 2012/13 for expenses incurred by Councillors acting as a delegate to Bega Valley Shire Council when outside the shire is $19,500 of which approximately $10,860 has been expended leaving a balance of $9,400. It unlikely the NSW Shires Association Conference will be held in 2013. 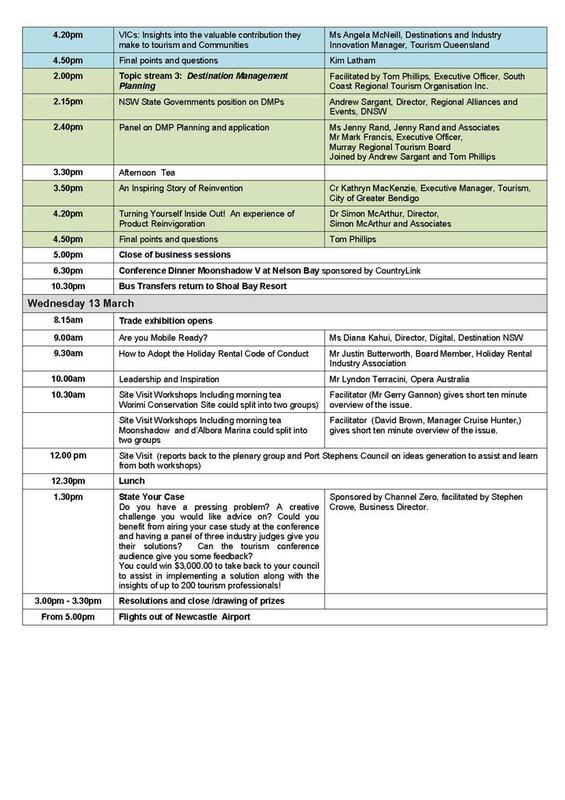 The Local Government NSW Tourism Conference will provide information and knowledge on tourism, site visits to compare operations and facilities and other tourism related topics that may enhance existing and future tourism programs for the shire. That Councillors determine if a delegate or delegates should attend the Local Government NSW Tourism Conference, and if so, resolve to meet registration, travel, accommodation and related costs. The Council motion adopted in 2008 sees property owners lodging DA’s burdened with costs that were not apparent when they purchased their land. The Council meeting of 24th July 2012 deferred a rescission motion with a report to be provided to council. The General Manager’s notes on the Notice of Motion stated that the development standard will form part of the Development Control Plan review later that year. The revised DCP was re-exhibited in September/October 2012. A final report on the DCP and development standards is due later next month. This leaves several ratepayers in limbo. Firstly the owners of a rural lot had signed contracts to sell their property and it was only when the condition was applied (when the buyer lodged a DA) that they became aware of the requirement. The sale of the land subsequently fell through and the vendors refunded the deposit monies as they had placed the property on the market in good faith unaware that such a condition could apply to the land. When they purchased the land in 2004 no such condition applied. Secondly the owners of a similar lot purchased the land in 2006 and at that time the condition did not apply. They were also unaware of the condition and only found out from neighbours when the sale fell through due to the condition. They are an elderly couple who wish to retire from Sydney but do not wish to sell their Sydney property until the matter is resolved. Also of concern to them is that in 2009 dual occupancy dwellings were permitted on other allotments without the condition applying. I believe that the 2008 resolution of council was not intended to create the above issues and related to the sub-division of land into sub-divisions of 5 or more allotments to which I have no objection to the condition. I do not believe that the lodgement of a DA should be the trigger for the application and it should merely be the creation of lots by way of a linen plan/subdivision application. Councillors further considered development standards in relation to the draft DCP at a workshop on 13 February. While no firm indication of councillors’ position on those standards was identified, the opportunity is available to councillors to adjust/lower the standard to say a gravel road for less than 5 lots, in relation to access via a right of way over private lands for construction within a Crown Road Reserve. That standard may then be inserted into the draft DCP to apply to future DAs. That standard would then be maintained if constructed to standard and accepted as public road by Council. The Notice of Motion deferred from the 6 February meeting can be determined at this meeting. That Councillors note the updated background information.